1. Kits K.D., Sedlacek C.J., Lebedeva E.V., Han P., Bulaev A., Pjevac P., Daebeler A., Romano S., Albertsen M., Stein L.Y., Daims H., Wagner M. Kinetic analysis of a complete nitrifier reveals an oligotrophic lifestyle. // Nature. 2017, v. 549, № 7671, p. 269-272. 2. Chung-Chau Hon, Jordan A Ramilowski, Jayson Harshbarger, Nicolas Bertin, Owen JL Rackham, Julian Gough, Elena Denisenko, Sebastian Schmeier, Thomas M Poulsen, Jessica Severin, Marina Lizio, Hideya Kawaji, Takeya Kasukawa, Masayoshi Itoh, A Maxwell Burroughs, Shohei Noma, Sarah Djebali, Tanvir Alam, Yulia A Medvedeva, Alison C Testa, Leonard Lipovich, Chi-Wai Yip, Imad Abugessaisa, Mickaël Mendez, Akira Hasegawa, Dave Tang, Timo Lassmann, Peter Heutink, Magda Babina, Christine A Wells, Soichi Kojima, Yukio Nakamura, Harukazu Suzuki, Carsten O Daub, Michiel JL de Hoon, Erik Arner, Yoshihide Hayashizaki, Piero Carninci, Alistair RR Forrest. An atlas of human long non-coding RNAs with accurate 5′ ends. // Nature. 2017, v. 543, № 7644, p. 199-204. 3. Derek de Rie, Imad Abugessaisa, Tanvir Alam, Erik Arner, Peter Arner, Haitham Ashoor, Gaby Åström, Magda Babina, Nicolas Bertin, A Maxwell Burroughs, Ailsa J Carlisle, Carsten O Daub, Michael Detmar, Ruslan Deviatiiarov, Alexandre Fort, Claudia Gebhard, Daniel Goldowitz, Sven Guhl, Thomas J Ha, Jayson Harshbarger, Akira Hasegawa, Kosuke Hashimoto, Meenhard Herlyn, Peter Heutink, Kelly J Hitchens, Chung Chau Hon, Edward Huang, Yuri Ishizu, Chieko Kai, Takeya Kasukawa, Peter Klinken, Timo Lassmann, Charles-Henri Lecellier, Weonju Lee, Marina Lizio, Vsevolod Makeev, Anthony Mathelier, Yulia A Medvedeva, Niklas Mejhert, Christopher J Mungall, Shohei Noma, Mitsuhiro Ohshima, Mariko Okada-Hatakeyama, Helena Persson, Patrizia Rizzu, Filip Roudnicky, Pål Sætrom, Hiroki Sato, Jessica Severin, Jay W Shin, Rolf K Swoboda, Hiroshi Tarui, Hiroo Toyoda, Kristoffer Vitting-Seerup, Louise Winteringham, Yoko Yamaguchi, Kayoko Yasuzawa, Misako Yoneda, Noriko Yumoto, Susan Zabierowski, Peter G Zhang, Christine A Wells, Kim M Summers, Hideya Kawaji, Albin Sandelin, Michael Rehli, Yoshihide Hayashizaki, Piero Carninci, Alistair RR Forrest, Michiel JL de Hoon, FANTOM Consortium. An integrated expression atlas of miRNAs and their promoters in human and mouse. // Nature Biotechnology. 2017, v. 35, № 9, p. 872-878. 4. Mitchell J. Machiela, Jonathan N. Hofmann, Robert Carreras-Torres, Kevin M. Brown, Mattias Johansson, Zhaoming Wang, Matthieu Foll, Peng Li, Nathaniel Rothman, Sharon A. Savage, Valerie Gaborieau, James D. McKay, Yuanqing Ye, Marc Henrion, Fiona Bruinsma, Susan Jordan, Gianluca Severi, Kristian Hveem, Lars J. Vatten, Tony Fletcher, Kvetoslava Koppova, Susanna C. Larsson, Alicja Wolk, Rosamonde E. Banks, Peter J. Selby, Douglas F. Easton, Paul Pharoah, Gabriella Andreotti, Laura E. Beane Freeman, Stella Koutros, Demetrius Albanes, Satu Mannisto, Stephanie Weinstein, Peter E. Clark, Todd E. Edwards, Loren Lipworth, Susan M. Gapstur, Victoria L. Stevens, Hallie Carol, Matthew L. Freedman, Mark M. Pomerantz, Eunyoung Cho, Peter Kraft, Mark A. Preston, Kathryn M. Wilson, J. Michael Gaziano, Howard S. Sesso, Amanda Black, Neal D. Freedman, Wen-Yi Huang, John G. Anema, Richard J. Kahnoski, Brian R. Lane, Sabrina L. Noyes, David Petillo, Leandro M. Colli, Joshua N. Sampson, Celine Besse, Helene Blanche, Anne Boland, Laurie Burdette, Egor Prokhortchouk, Konstantin G. Skryabin, Meredith Yeager, Mirjana Mijuskovic, Miodrag Ognjanovic, Lenka Foretova, Ivana Holcatova, Vladimir Janout, Dana Mates, Anush Mukeriya, Stefan Rascu, David Zaridze, Vladimir Bencko, Cezary Cybulski, Eleonora Fabianova, Viorel Jinga, Jolanta Lissowska, Jan Lubinski, Marie Navratilova, Peter Rudnai, Neonila Szeszenia-Dabrowska, Simone Benhamou, Geraldine Cancel-Tassin, Olivier Cussenot, H. Bas Bueno-de-Mesquita, Federico Canzian, Eric J. Duell, Bo¨rje Ljungberg, Raviprakash T. Sitaram, lrike Peters, Emily White, Garnet L. Anderson, Lisa Johnson, Juhua Luo, Julie Buring, I-Min Lee, Wong-Ho Chow, Lee E. Moore, Christopher Wood, imothy Eisen, James Larkin, Toni K. Choueiri, G. Mark Lathrop, Bin Tean Teh, ean-Francois Deleuze, Xifeng Wu, Richard S. Houlston, Paul Brennan, Stephen J. Chanock, Ghislaine Scelo, Mark P. Purdue. Genetic Variants Related to Longer Telomere Length are Associated with Increased Risk of Renal Cell Carcinoma. // European Urology. 2017, v. 72, № 5, p. 747-754. 5. Artemov A.V., Mugue N.S., Rastorguev S.M., Zhenilo S., Mazur A.M., Tsygankova S.V., Boulygina E.S., Kaplun D., Nedoluzhko A.V., Medvedeva Y.A., Prokhortchouk E.B. Genome-Wide DNA Methylation Profiling Reveals Epigenetic Adaptation of Stickleback to Marine and Freshwater Conditions. // Molecular Biology and Evolution. 2017, v. 9, № 34, p. 2203-2213. 6. Golyshina OV, Toshchakov SV, Makarova KS, Gavrilov SN, Korzhenkov AA, La Cono V, Arcadi E, Nechitaylo TY, Ferrer M, Kublanov IV, Wolf YI, Yakimov MM, Golyshin PN. ‘ARMAN’ archaea depend on association with euryarchaeal host in culture and in situ. // Nature Communications. 2017, v. 8, № 1, № article 60, p. 1-12. 7. Ghislaine Scelo, Mark P. Purdue, Kevin M. Brown, Mattias Johansson, Zhaoming Wang, Jeanette E. Eckel-Passow, Yuanqing Ye, Jonathan N. Hofmann, Jiyeon Choi, Matthieu Foll, Valerie Gaborieau, Mitchell J. Machiela, Leandro M. Colli, Peng Li, Joshua N. Sampson, Behnoush Abedi-Ardekani, Celine Besse, Helene Blanche, Anne Boland, Laurie Burdette, Amelie Chabrier, Geoffroy Durand, Florence Le Calvez-Kelm, Egor Prokhortchouk, Nivonirina Robinot, Konstantin G. Skryabin, Magdalena B. Wozniak, Meredith Yeager, Gordana Basta-Jovanovic, Zoran Dzamic, Lenka Foretova, Ivana Holcatova, Vladimir Janout, Dana Mates, Anush Mukeriya, Stefan Rascu, David Zaridze, Vladimir Bencko, Cezary Cybulski, Eleonora Fabianova, Viorel Jinga, Jolanta Lissowska, Jan Lubinski, Marie Navratilova, Peter Rudnai, Neonila Szeszenia-Dabrowska, Simone Benhamou, Geraldine Cancel-Tassin, Olivier Cussenot, Laura Baglietto, Heiner Boeing, Kay-Tee Khaw, Elisabete Weiderpass, Borje Ljungberg, Raviprakash T. Sitaram, Fiona Bruinsma, Susan J. Jordan, Gianluca Severi, Ingrid Winship, Kristian Hveem, Lars J. Vatten, Tony Fletcher, Kvetoslava Koppova, Susanna C. Larsson, Alicja Wolk, Rosamonde E. Banks, Peter J. Selby, Douglas F. Easton, Paul Pharoah, Gabriella Andreotti, Laura E. Beane Freeman, Stella Koutros, Demetrius Albanes, Satu Ma¨nnisto, Stephanie Weinstein, Peter E. Clark, Todd L. Edwards, Loren Lipworth, Susan M. Gapstur, Victoria L. Stevens, Hallie Carol, Matthew L. Freedman, Mark M. Pomerantz, Eunyoung Cho, Peter Kraft, Mark A. Preston, Kathryn M. Wilson, J. Michael Gaziano, Howard D. Sesso, Amanda Black, Neal D. Freedman, Wen-Yi Huang, John G. Anema, Richard J. Kahnoski, Brian R. Lane, Sabrina L. Noyes, David Petillo, Bin Tean Teh, Ulrike Peters, Emily White, Garnet L. Anderson, Lisa Johnson, Juhua Luo, Julie Buring, I-Min Lee, Wong-Ho Chow, Lee E. Moore, Christopher Wood, Timothy Eisen, Marc Henrion, James Larkin, Poulami Barman, Bradley C. Leibovich, Toni K. Choueiri, G. Mark Lathrop, Nathaniel Rothman, Jean-Francois Deleuze, James D. McKay, Alexander S. Parker, Xifeng Wu, Richard S. Houlston, Paul Brennan, Stephen J. Chanock. Genome-wide association study identifies multiple risk loci for renal cell carcinoma. // Nature Communications. 2017, v. 8, № article 15 724. 8. Sorokin D, Messina E, Smedile F, Roman P, Sinninghe-Damste J, Golyshin P, Ciordia S, Mena M, Ferrer M, Kublanov I, Samarov N, Toshchakov S., La Cono V, Yakimov M. Discovery of anaerobic lithoheterotrophic haloarchaea, ubiquitous in hypersaline habitats. // The ISME Journal: Multidisciplinary journal of microbial ecology. 2017, v. 11, № 5, p. 1245-1260. 9. Lizio, Marina; Harshbarger, Jayson; Abugessaisa, Imad; Noguchi, Shuei; Kondo, Atsushi; Severin, Jessica; Mungall, Chris; Arenillas, David; Mathelier, Anthony; Medvedeva, Yulia A.; Lennartsson, Andreas; Drablos, Finn; Ramilowski, Jordan A.; Rackham, Owen; Gough, Julian; Andersson, Robin; Sandelin, Albin; Ienasescu, Hans; Ono, Hiromasa; Bono, Hidemasa; Hayashizaki, Yoshihide; Carninci, Piero; Forrest, Alistair R. R.; Kasukawa, Takeya; Kawaji, Hideya . // Nucleic Acids Research. 2017, v. 45, № D1, p. D737-D743. 10. Smith L.J., Bochkareva A., Rolfe M.D., Hunt D.M., Kahramanoglou C., Braun Y., Rodgers A., Blockley A., Coade S., Lougheed K.E.A., Hafneh N.A., Glenn S.M., Crack J.C., LeBrun N.E., Saldanha J.W., Makarov V., Nobeli I., Arnvig K., Mukamolova G.V., Buxton R.S., Green J. Cmr is a redox-responsive regulator of DosR that contributes to M. tuberculosis virulence. // Nucleic Acids Research. 2017, v. 45, № 11, p. 6600-6612. 11. Sorokin D.Y., Makarova K.S, Abbas B., Ferrer M., Golyshin P.N., Galinski E.A., Ciordia S., Mena M.C., Merkel A.Y., Wolf Y.I., van Loosdrecht M.C.M., Koonin E.V. Discovery of extremely halophilic, methyl-reducing euryarchaea provides insights into the evolutionary origin of methanogenesis. // Nature Microbiology. 2017, v. 2, № 8, № article 17081. 12. Agaphonov M.O. Improvement of a yeast self-excising integrative vector by prevention of expression leakage of the intronated Cre recombinase gene during plasmid maintenance in Escherichia coli. // FEMS Microbiology Letters. 2017, v. 364, № 22, № article fnx222, p. 1-4. 13. Ahn A.-C., Meier-Kolthoff J.P., Overmars L., Richter M., Woyke T., Sorokin D.Y., Muyzer G. Genomic diversity within the haloalkaliphilic genus Thioalkalivibrio. // PLoS ONE. 2017, v. 12, № 3, № article e0173517. 14. Alexander G. Tkachenko, Natalya M. Kashevarova, Elena A. Tyuleneva, Mikhail S. Shumkov. Stationary-phase genes upregulated by polyamines are responsible for the formation of Escherichia coli persister cells tolerant to netilmicin. // FEMS Microbiology Letters. 2017, v. 364, № 9, № article fnx084. 15. Alexeev, C. S.; Sivets, G. G.; Safonova, T. N.; Mikhailov, S. N. Substrate specificity of E-coli uridine phosphorylase. Further evidences of high-syn conformation of the substrate in uridine phosphorolysis. // Nucleosides Nucleotides & Nucleic Acids. 2017, т. 36, № 2, c. 107-121. 16. Anisimkin V.I., Kuznetsova I.E., Kolesov V.V., Sorokin V.V., Skladnev D.A., Caliendo C., Verona E. Detection of small amounts of yeasts, bacteria and phages particles as biological objects in agarose gel samples using uncoated plate acoustic wave senso. // Procedia Technology. 2017, № 27, p. 268-270. 17. Antonov M.Yu., Popinako A.V., Prokopev G.A., Vasilyev A.O. Numerical Modelling of Ion Transport in 5-HT3 Serotonin Receptor using molecular dynamics. Numerical Analysis and Its Applications. // Lecture Notes in Computer Science. 2017, v. 10187, p. 195-202. 18. Artemov V., N. Zhigalova, S. Zhenilo, A. M. Mazur, E. B. Prokhortchouk. Inactivation of VHL in kidney cancer cells affects genome methylation. // FEBS Journal. 2017, v. 284, № S1, p. 287-287. 19. Baranov, Mikhail S.; Kaskova, Zinaida M.; Gritcenko, Roman; Postikova, Svetlana G.; Ivashkin, Pavel E.; Kislukhin, Alexander A.; Moskvin, Dmitrii I.; Mineev, Konstantin S.; Arseniev, Alexander S.; Labas, Yulii A.; Yampolsky, Ilia V. Synthesis of Panal Terpenoid Core. // Synlett. 2017, т. 28, № 5, c. 583-588. 20. Barinova K. V., Eldarov M. A., Khomyakova E. V., Muronetz V. I., Schmalhausen E. V. Isolation of recombinant human untagged glyceraldehyde-3-phosphate dehydrogenase from E.coli producer strain. // Protein Expression and Purification. 2017, № 137, c. 1-6. 21. Beatrice Scellini, Nicoletta Piroddi, Alexander M. Matyushenko, Dmitrii I. Levitsky, Corrado Poggesi, Sherwin S. Lehrer, Chiara Tesi. The Relaxation Properties of Myofibrils Are Compromised by Amino Acids that Stabilize α-Tropomyosin. // Biophysical Journal. 2017, v. 112, № 2, p. 376-387. 22. Beletsky A. V., Filyushin M. A., Gruzdev E.V., Mazur A. M., Prokhortchouk E. B., Kochieva E.Z., Mardanov A. V., Ravin N. V., Skryabin K. G. De novo transcriptome assembly of the mycoheterotrophic plant Monotropa hypopitys. // Genomics Data. 2017, v. 11, p. 60-61. 23. Beletsky A.V., Malyavko A.N., Sukhanova M.V., Mardanova E.S., Zvereva M.I., Petrova O.A., Parfenova Y.Yu, Rubtsova M.P., Mardanov A.M., Lavrik O.I., Dontsova O.A., Ravin N.V. The genome-wide transcription response to telomerase deficiency in the thermotolerant yeast Hansenula polymorpha DL-1. // BMC Genomics. 2017, v. 18, № article 492. 24. Berben T., Balkema C., Sorokin D.Y., Muyzer G. Transcriptomic analysis of the genes involved in thiocyanate oxidation during growth in continuous culture of haloalkaliphilic sulfur-oxidizing bacterium Thioalkalivibrio thiocyanoxidans ARh 2T. // mSystems. 2017, v. 2, № 6, № article e00102-17. 25. Berben T., Overman L., Sorokin D.Y., Muyzer G. Comparative genome analysis of three thiocyanate oxidizing Thioalkalivibrio species isolated from soda lakes. // Frontiers in Microbiology. 2017, v. 8, № article 254. 26. Berlina A.N., Zherdev A.V., Xu C., Eremin S.A., Dzantiev B.B. Development of lateral flow immunoassay for rapid control and quantification of the presence of the colorant Sudan I in spices and seafood. // Food Control. 2017, v. 73, № B, p. 247-253. 27. Bespyatykh J., E. Shitikov, V. Zgoda, A. Smolyakov, M. Zamachaev, M. Dogonadze, V. Zhuravlev, E. Ilina. Changes in metabolism of Mycobacterium tuberculosis Beijing B0/W148 cluster against the background of anti-tuberculosis therapy. // FEBS Journal. 2017, v. 284, № S1, p. 347-347. 28. Bonartsev A.P., Zernov A.L., Yakovlev S.G., Zharkova I.I., Myshkina V.L., Mahina T.K., Bonartseva G.A., Andronova N.V., Smirnova G.B., Borisova J.A., Kalishjan M.S., Shaitan K.V., Treshalina H.M. New poly(3-hydroxybutyrate) microparticles with paclitaxel sustained release for intraperitoneal administration. // Anti-Cancer Agents in Medicinal Chemistry. 2017, v. 17, № 3, p. 434-441. 29. Bonartsev A.P., Zharkova I.I., Yakovlev S.G., Myshkina V.L., Махина, Voinova V.V., Zernov A.L., Zhuikov V.A., Akoulina E.A., Ivanova E.V., Kuznetsova E.S., Shaitan K.V., Bonartseva G.A. Biosynthesis of poly(3-hydroxybutyrate) copolymers by Azotobacter chroococcum 7B: a precursor feeding strategy. // Preparative Biochemistry and Biotechnology. 2017, v. 47, № 2, p. 173-184. 30. Bonchuk A., A. Fedotova, K. Boyko, A. Nikolaeva, O. Maksimenko, P. Georgiev. Structural determinants of dimerization specificity of Zinc-finger-associated domain. // FEBS Journal. 2017, v. 284, № S1, p. 188-188. 31. Bondarenko S.A., Ianutsevich E.A., Danilova O.A., Grum-Grzhimaylo A.A., Kotlova E.R., Kamzolkina O.V., Bilanenko E.N., Tereshina V.M. Membrane lipids and soluble sugars dynamics of the alkaliphilic fungus Sodiomyces tronii in response to ambient pH. // Extremophiles. 2017, v. 21, № 4, p. 743-754. 32. Boris I. Kurganov. Quantification of anti-aggregation activity of chaperones. // International Journal of Biological Macromolecules. 2017, v. 100, № S1, p. 104-117. 33. Boroduleva A.Yu., Wu J., Yang Q., Li H., Li P., Eremin S.A. Development of fluorescence polarization immunoassays for parallel detection of pesticides carbaryl and triazophos in wheat grains. // Analytical Methods. 2017, v. 9, № 48, p. 6814-6822. 34. Borzova V., D. Kara, K. Markossian, S. Kleymenov, B. Kurganov. A change in the aggregation pathway of bovine serum albumin in the presence of chemical chaperones. // FEBS Journal. 2017, v. 284, № S1, p. 195-195. 35. Borzova Vera A., Kira A. Markossian, Sergey Yu. Kleymenov, Boris I. Kurganov. A change in the aggregation pathway of bovine serum albumin in the presence of arginine and its derivatives. // Scientific Reports. 2017, v. 7, № article 3984. 36. Boyko K., A. Nikolaeva, A. Bonchuk, P. Georgiev, V. Popov. Two new crystal structures of zinc-finger-associated domains from D. melanogaster reveal structural similarity to the only known structure of this protein family. // FEBS Journal. 2017, v. 284, № S1, p. 310-310. 37. Brouchkov A, Kabilov M, Filippova S, Baturina O, Rogov V, Galchenko V, Mulyukin A, Fursova O, Pogorelko G. Bacterial community in ancient permafrost alluvium at the Mammoth Mountain (Eastern Siberia). // GENE. 2017, v. 636, p. 48-53. 38. Bulakhov A.G., Volkov P.V., Rozhkova A.M., Gusakov A.V., Nemashkalov V.A., Sinitsyn A.P., Satrutdinov A.D. Using an inducible promoter of a gene encoding Penicillium verruculosum glucoamylase for production of enzyme preparations with enhanced cellulase performance. // PLoS ONE. 2017, № article e0170404. 39. Byzova N.A., Safenkova I.V., Slutskaya E.S., Zherdev A.V., Dzantiev B.B. Less is More: A Comparison of Antibody-Gold Nanoparticle Conjugates of Different Ratios. // Bioconjugate Chemistry. 2017, v. 28, № 11, p. 2737-2746. 40. Byzova N.A., Zherdev A.V., Vengerov Yu.Yu., Starovoitova T.A., Dzantiev B.B. A triple immunochromatographic test for simultaneous determination of cardiac troponin I, fatty acid binding protein, and C-reactive protein biomarkers. // Microchimica Acta. 2017, v. 184, № 2, p. 463-471. 41. Chen J., Wang L., Lu L., Shen X., Huang X., Liu Y., Sun X., Wang Z., Eremin S.A., Sun Y., Xu Z., Lei H. Four specific hapten conformations dominating antibody specificity: quantitative structure–activity relationship analysis for quinolone immunoassay. // Analytical Chemistry. 2017, v. 89, № 12, p. 6740-6748. 42. Chernukha I.M., Vostrikova N.L., Kovalev L.I., Shishkin S.S, Kovaleva M.A., Manukhin Y.S. IDENTIFICATION OF SPECIES- AND TISSUE-SPECIFIC PROTEINS USING PROTEOMIC STRATEGY. // IOP Conference Series: Earth and Environmental Science. 2017, v. 85, № 1, p. 1-8. 43. Chudinova Yuliya V., Kurek Denis V., Varlamov Valery P. Molecular Architecture of Natural Polysaccharide Based Thin Films. // Solid State Phenomena. 2017, v. 258, p. 358-361. 44. D. S. Logvinova, A. M. Matyushenko, O. P. Nikolaeva, D. I. Levitsky. Interaction of the N-terminal extension of myosin essential light chain-1 with F-actin studied by fluorescence resonance energy transfer. // FEBS Journal. 2017, v. 284, № S1, p. 190-190. 45. Damste J.S., Rijpstra W.I.C., Dedysh S.N., Foesel B.U., Villanueva L. Pheno- and Genotyping of Hopanoid Production in Acidobacteria. // Frontiers in Microbiology. 2017, v. 8, № article 968. 46. Daniil V. Shchepkin, Salavat R. Nabiev, Galina V. Kopylova, Alexander M. Matyushenko, Dmitrii I. Levitsky, Sergey Y. Bershitsky, Andrey K. Tsaturyan. Cooperativity of myosin interaction with thin filaments is enhanced by stabilizing substitutions in tropomyosin. // Journal of Muscle Research and Cell Motility. 2017, v. 38, № 2, p. 183-191. 47. Dedysh S.N., Kulichevskaya I.S., Huber KJ, Overmann J. Defining the taxonomic status of described subdivision 3 Acidobacteria: proposal of Bryobacteraceae fam. nov. // International Journal of Systematic and Evolutionary Microbiology. 2017, v. 67, № 2, p. 498-501. 48. Demkin, Vladimir V.; Koshechkin, Stanislav I.; Slesarev, Alexei. A novel real-time PCR assay for highly specific detection and quantification of vaginal lactobacilli. // MOLECULAR AND CELLULAR PROBES. 2017, v. 32, c. 33-39. 49. Denisenko Y.A., Gusakov A.V., Rozhkova A.M., Osipov D.O., Zorov I.N., Matys V.Y., Uporov I.V., Sinitsyn A.P. Site-directed mutagenesis of GH10 xylanase A from Penicillium canescens for determining factors affecting the enzyme thermostability. // International Journal of Biological Macromolecules. 2017, v. 104, № А, p. 665-671. 50. Deryabina Y., E. Isakova, O. Klein, B. Krasnikov. Design of an animal model in vivo for hepatic encephalopathy assay. // FEBS Journal. 2017, v. 284, № S1, p. 250-250. 51. Deyev I.E., Popova N.V., Serova O.V., Zhenilo S.V., Regoli M., Bertelli E., Petrenko A.G. Alkaline pH induces IRR-mediated phosphorylation of IRS-1 and actin cytoskeleton remodeling in a pancreatic beta cell line. // Biochimie. 2017, v. 138, p. 62-69. 52. Dmitriy A. Kara, Vera A. Borzova, Kira A. Markossian, Sergey Yu. Kleymenov, Boris I. Kurganov. A change in the pathway of dithiothreitol-induced aggregation of bovine serum albumin in the presence of polyamines and arginine. // International Journal of Biological Macromolecules. 2017, v. 104, № Part A, p. 889-899. 53. Dotsenko G.S., Dotsenko A.S., Sinitsyn A.P. Near UV difference spectroscopy application for ferulic acid esterases substrate specificity determination. // Journal of Molecular Catalysis B: Enzymatic. 2017, v. 133, № S1, p. 324-327. 54. Dubinina G., Savvichev A.S., Orlova M.V., Gavrish E., Verbarg S., Grabovich M.Y. Beggiatoa leptomitoformis sp. nov., the first freshwater member of the genus capable of chemolithoautotrophic growth. // International Journal of Systematic and Evolutionary Microbiology. 2017, v. 67, № 2, p. 197-204. 55. E. Mazurov, I. Antonov, Y. A. Medvedeva. Genetic determinant of epigenetics. // FEBS Journal. 2017, v. S1, № 284, p. 223-223. 56. Elcheninov AG, Menzel P, Gudbergsdottir SR, Slesarev AI, Kadnikov VV, Krogh A, Bonch-Osmolovskaya EA, Peng X, Kublanov IV. Sugar metabolism of the first thermophilic planctomycete Thermogutta terrifontis: comparative genomic and transcriptomic approaches. // Frontiers in Microbiology. 2017, № 8, № article 2140, p. 1-11. 57. Eugene G. Maksimov, Nikolai N. Sluchanko, Yury B. Slonimskiy, Kirill S. Mironov, Konstantin E. Klementiev, Marcus Moldenhauer, Thomas Friedrich, Dmitry A. Los, Vladimir Z. Paschenko, Andrew B. Rubin. The Unique Protein-to-Protein Carotenoid Transfer Mechanism. // Biophysical Journal. 2017, v. 113, № 2, p. 402-414. 58. Eugenia Pechkova, Stefano Fiordoro, Nikolai Sokolov, Vadim Pokrovsky, Marina Pokrovskaya, Svetlana Aleksandrova, Alexander Veselovsky, Nicola Bragazzi, Matteo Giannini, Lucia Pellegrino, Shen Zhong Yi, Michail Eldarov, Pier Luigi Martelli, Giuseppe Zanotti, Claudio Nicolini. LB Crystallization and Preliminary X-ray Diffraction Analysis of L-Asparaginase from Rhodospirillum rubrum. // NanoWorld Journal. 2017, v. 3, № S1, p. 2-8. 59. Evgeny A. Shirshin, Elena E. Nikonova, Fedor I. Kuzminov, Nikolai N. Sluchanko, Irina V. Elanskaya, Maxim Y. Gorbunov, Victor V. Fadeev, Thomas Friedrich, Eugene G. Maksimov. Biophysical modeling of in vitro and in vivo processes underlying regulated photoprotective mechanism in cyanobacteria. // Photosynthesis Research. 2017, v. 133, № 1-3, p. 261-271. 60. Fomenkov A., Akimov V.N., Vasilyeva L.V., Andersen D.T., Vincze T., Roberts R.J. Complete Genome and Methylome Analysis of Psychrotrophic Bacterial Isolates from Lake Untersee in Antarctica. // Genome Announcements. 2017, v. 5, № 11, № article e01753-16. 61. Fomenkov A., T. Vincze, M.Y. Grabovich, G. Dubinina, M. Orlova, E. Belousova, R.J. Roberts. Whole-Genome Sequence and Methylome Analysis of the Freshwater Colorless Sulfur Bacterium Thioflexothrix psekupsii D3. // Genome Announcements. 2017, v. 5, № 35, № article e00904-17. 62. Frenkel F.E., Korotkova M.A., Korotkov E. V. Database of Periodic DNA Regions in Major Genomes. // BioMed Research International. 2017, № article 7949287, p. 1-9. 63. Frolov E.N., Kublanov I.V., Toshchakov S.V., Samarov N. I., Novikov A.A., Lebedinsky A.V., Bonch-Osmolovskaya E.A., Chernyh N.A. Thermodesulfobium acidiphilum sp. nov., a thermoacidophilic, sulfate-reducing, chemoautotrophic bacterium from a thermal site. // International Journal of Systematic and Evolutionary Microbiology. 2017, v. 67, № 5, p. 1482-1485. 64. Gaisin V, Kalashnikov A, Grouzdev D, Sukhacheva M, Kuznetsov B, Gorlenko V. Chloroflexus islandicus sp nov., a thermophilic filamentous anoxygenic phototrophic bacterium from a geyser. // International Journal of Systematic and Evolutionary Microbiology. 2017, v. 67, № 5, p. 1381-1386. 65. Galina R. Demina, Vadim D. Nikitushkin, Margarita O. Shleeva, Olga B. Riabova, Alexander Yu. Lepioshkin, Vadim A. Makarov, Arseny S. Kaprelyants. Benzoylphenyl thiocyanates are new effective inhibitors of the mycobacterial resuscitation promoting factor B protein. // Annals of Clinical Microbiology and Antimicrobials. 2017, v. 16, № article 69, p. 1-9. 66. Gengenbacher M., Duque-Correa M.A., Kaiser P., Schuerer S., Lazar D., Zedler U., Reece S., Nayyar A., Cole S., Makarov V., Barry C.E. III, Dartois V., Kaufmann S. NOS2-deficient mice with hypoxic necrotizing lung lesions predict outcomes of tuberculosis chemotherapy in humans. // Scientific Reports. 2017, v. 18, № 7, № article 8853. 67. Gonzalez-Arribas E., Bobrowski T., Di Bari C., Sliozberg K., Ludwig R., Toscano M.D., De Lacey A.L., Pita M., Schuhmann W., Shleev S. Transparent, mediator- and membrane-free enzymatic fuel cell based on nanostructured chemically modified indium tin oxide electrodes. // Biosensors and Bioelectronics. 2017, v. 97, p. 46-52. 68. Gracheva M.A., Chistyakova N.I., Antonova A.V., Rusakov V.S., Zhilina T.N., Zavarzina D.G. Mӧssbauer study of iron minerals transformations by Fuchsiella ferrireducens. // Hyperfine Interactions. 2017, № 238, № article 84. 69. Grebenyuk, Anna; Ravin, Nikolai. The long-term development of Russian biotech sector. // Foresight. 2017, т. 19, № 5, SI, c. 491-500. 70. Grouzdev D, Koziaeva V, Kuznetsov B, Skryabin K. Magnetotactic Bacteria – Trends for the Future Research. // NanoWorld Journal. 2017, v. 3, № 2, p. 29-31. 71. Gubaidullina M.K., Urusov A.E., Petrakova A.V., Zherdev A.V., Dzantiev B.B. Paper-based microfluidic tests: A novel manufacturing method and application for detection of chloramphenicol. // Chemical Sciences Journal. 2017, v. 8, № 3 (supplement), p. 77-77. 72. Gusakov A.V., Bulakhov A.G., Demin I.N, Sinitsyn A.P. Monitoring of reactions catalyzed by lytic polysaccharide monooxygenases using highly-sensitive fluorimetric assay of the oxygen consumption rate. // Carbohydrate Research. 2017, v. 452, p. 156-161. 73. Gusakov A.V., Dotsenko A.S., Rozhkova A.M., Sinitsyn A.P. N-Linked glycans are an important component of the processive machinery of cellobiohydrolases. // Biochimie. 2017, v. 132, p. 102-108. 74. Gushchin, V. A.; Karlin, D. G.; Makhotenko, A. V.; Khromov, A. V.; Erokhina, T. N.; Solovyev, A. G.; Morozov, S. Yu. ; Agranovsky, A. A. A conserved region in the Closterovirus la polyprotein drives extensive remodeling of endoplasmic reticulum membranes and induces motile globules in Nicotiana bentharniana cells. // VIROLOGY. 2017, v. 502 , c. 106-113. 75. Gyunter, E. A.; Melekhin, A. K.; Popov, S. V.; Durnev, E. A.; Martinson, E. A.; Litvinets, S. G.; Konovalova, M. A.; Varlamov, V. P. Adhesive Properties of Pectin-Chitosan Composite Gels. // Chemistry of Natural Compounds. 2017, v. 53, № 5, c. 823-829. 76. Hendrickson O.D., Urusov A.E., Kuznetsova D.A., Zherdev A.V., Dzantiev B.B. A biotin–streptavidin module for signal amplification in immunochromatographic analysis to control antibiotic. // International Journal of Applied Engineering Research. 2017, v. 12, № 23, p. 14552-14564. 77. Inna P. Solyanikova, Nataliya E. Suzina, Nataliya S. Egozarian, Valentina N. Polivtseva, Nataliya V. Prisyazhnaya, Galina I. El-Registan, Andrey L. Mulyukin, Ludmila A. Golovleva. The response of soil Arthrobacter agilis lush13 to changing conditions: Transition between vegetative and dormant state. // Journal of Environmental Science and Health. Part B: Pesticides, Food Contaminants, and Agricultural Wastes. 2017, v. 52, № 10, p. 745-751. 78. Irina Kravchenko, Marina Sukhacheva. Methane oxidation and diversity of aerobic methanotrophs in forest and agricultural soddy–podzolic soils. // Applied Soil Ecology. 2017, v. 119, p. 267-274. 79. Ivanova A.A., Naumoff D. G., Miroshnikov K., Liesack W., Dedysh S. N. Comparative Genomics of Four Isosphaeraceae Planctomycetes: A Common Pool of Plasmids and Glycoside Hydrolase Genes Shared by Paludisphaera borealis PX4(T), Isosphaera pallida IS1B(T), Singulisphaera acidiphila DSM 18658(T), and Strain SH-PL62. // Frontiers in Microbiology. 2017, v. 8, № article 412. 80. Ivanovsky R.N., Keppen O.I., Lebedeva N.N., Beletsky A.V., Mardanov A.V., Grouzdev D.S. Draft genome sequence of the anoxygenic phototrophic bacterium Phaeospirillum fulvum MGU-K5. // Genome Announcements. 2017, v. 5, № 34, № article e00895—17. 81. Kadnikov V.V., Frank Y.A., Mardanov A.V., Beletsky A.V., Karnachuk O.V., Ravin N.V. Metagenome of the Siberian underground water reservoir. // Genome Announcements. 2017, v. 47, № 5, № article e01317-17. 82. Kadnikov Vitaly V, Mardanov Andrey V, Poltaraus Andrey B, Sokolova Diyana S, Semenova Ekaterina M, Ravin Nikolay V, Tourova Tatiyana P, Nazina Tamara N. Genome sequencing and annotation of Geobacillus sp. 1017, a hydrocarbon-oxidizing thermophilic bacterium isolated from a heavy oil reservoir (China). // Genomics Data. 2017, v. 11, p. 95-97. 83. Kamashev D., Agapova Y., Rastorguev S., Talyzina A., Boyko, Korzhenevskiy D., Vlaskina A., Vasilov R., Timofeev V., Rakitina T. Comparison of histone-like HU protein DNA-binding properties and HU/IHF protein sequence alignment. // PLoS ONE. 2017, v. 12, № 11, № article e188037. 84. Karnachuk O.V., Kadnikov V.V., Panova I.A., Mardanov A.V., Beletsky A.V., Danilova E.V., Avakyan M.R., Ravin N.V. Genome sequence of the copper resistant and acid-tolerant Desulfosporosinus sp. BG isolated from the tailings of a molybdenum-tungsten mine in the Transbaikal area. // Genomics Data. 2017, v. 11, p. 106-108. 85. Kazem Khoshaman, Reza Yousefi, Ali Mohammad Tamaddon, Samira Sadat Abolmaali, Ahmad Oryan, Ali Akbar Moosavi-Movahedi, Boris I. Kurganov. The impact of different mutations at Arg54 on structure, chaperone-like activity and oligomerization state of human alpha A-crystallin: The pathomechanism underlying congenital cataract-causing mutations R54L, R54P and R54C. // Biochimica et Biophysica Acta (BBA) — Proteins and Proteomics. 2017, v. 1865, № 5, p. 604-618. 86. Khrenova M.G., Solovyev I.D., Lapshin G.D., Savitsky A.P. Molecular mechanism of interactions between MMP-2 and its oligopeptide-based inhibitors. // Mendeleev Communications. 2017, v. 27, № 2, c. 157-159. 87. Kolosova A., Maximova K., Eremin S.A., Zherdev A.V., Mercader J.P., Fuentes A.A., Dzantiev B.B. Fluorescence polarisation immunoassays for strobilurin fungicides kresoxim-methyl, trifloxystrobin and picoxystrobin. // Talanta. 2017, v. 162, p. 495-504. 88. Kompantseva E.I., Kublanov I.V., Perevalova A.A., Chernyh N.A., Toshchakov S.V., Litti Y.V., Antipov A.N., Bonch-Osmolovskaya E.A., Miroshnichenko M. L. Calorithrix insularis gen. nov., sp. nov., a novel representative of the phylum Calditrichaeota. // International Journal of Systematic and Evolutionary Microbiology. 2017, v. 67, № 5, p. 1486-1490. 89. Konovalova M.V., Markov P.A., Durnev E.A., Kurek D.V., Popov S.V., Varlamov V.P. PREPARATION AND BIOCOMPATIBILITY EVALUATION OF PECTIN AND CHITOSAN CRYOGELS FOR BIOMEDICAL APPLICATION. // Journal of Biomedical Materials Research — Part A. 2017, v. 105, № 2, p. 547-556. 90. Konovalova, Mariya V.; Markov, Pavel A.; Popova, Galina Yu; Nikitina, Ida R.; Shumikhin, Konstantin V.; Kurek, Denis V.; Varlamov, Valery P.; Popov, Sergey V. Prevention of postoperative adhesions by biodegradable cryogels from pectin and chitosan polysaccharides. // Journal of Bioactive and Compatible Polymers. 2017, т. 32, № 5, c. 487-502. 91. Kopejtka K., Tomasch J., Zeng Y., Tichý M., Sorokin D.Y., Koblížek M. Genomic Analysis of the Evolution of Phototrophy among Haloalkaliphilic Rhodobacterales. // Genome Biology and Evolution. 2017, v. 9, № 7, p. 1950-1962. 92. Korotkov E.V., Korotkova M.A. Study of the periodicity in Euro-US Dollar exchange rates using local alignment and random matrices. // Algorithmic Finance. 2017, v. 6, № 1-2, p. 23-33. 93. Korotkov, E. V.; Frenkel, F. E.; Korotkova, M. A. Search of Periodicity Regions in the Genome A. thaliana Periodicity Regions in the A-thaliana Genomes. // Proceedings of the 10th international joint conference on biomedical engineering systems and technologies, vol 3: bioinformatics. 2017, c. 125-132. 94. Korotkov, E. V.; Korotkova, M. A. Есть на доработке, так как указан журнал Journal of Physics: Conference Series а вышла в материалах конфер Developing new mathematical method for search of the time series periodicity with deletions and insertions. // V international conference on problems of mathematical and theoretical physics and mathematical modelling. 2017, т. 788, № article UNSP 012019, c. — . 95. Kosmachevskaya O.V., Nasybullina E.I., Shumaev K.B., Klyuev K.I., Topunov A.F. Hemoglobin conversion to the membranebound state by the action of NO donors at carbonyl stress conditions. // FEBS Journal. 2017, v. 284, № S1, p. 176-176. 96. Kovaliova A, Kadnikov V.V, Antsiferov D.V., Beletsky A.V., Danilova E.V., Avakyan M.R., Mardanov A.V., Karnachuk O.V. Genome sequence of the acid-tolerant Desulfovibrio sp. DV isolated from the sediments of a Pb-Zn mine tailings dam in the Chita region, Russia. // Genomics Data. 2017, v. 11, p. 125-127. 97. Krasnovsky A.A., A.S. Kozlov. Laser photochemistry of oxygen. Application to studies of the absorption spectra of dissolved oxygen molecules. // Journal of Biomedical Photonics & Engineering. 2017, v. 3, № 1, c. 1-10. 98. Kravchenko I., Furalyov V., Popov V. Specific titin and myomesin domains stimulate myoblast proliferation. // Biochemistry and Biophysics Reports. 2017, v. 9, p. 226-231. 99. Kristina V. Tugaeva, Philipp O. Tsvetkov, Nikolai N. Sluchanko. Bacterial co-expression of human Tau protein with protein kinase A and 14-3-3 for studies of 1 4-3-3/phospho-Tau interaction. // PLoS ONE. 2017, v. 12, № 6, № article e0178933. 100. Kublanov IV, Sigalova O.M., Gavrilov SN, Lebedinsky AV, Rinke C, Kovaleva O, Chernyh NA, Ivanova N, Daum C, Reddy TBK, Klenk H-P, Spring S, Göker M, Reva ON, Miroshnichenko ML, Kyrpides NC, Woyke T, Gelfand MS, Bonch-Osmolovskaya EA. Genomic analysis of Caldithrix abyssi, the thermophilic anaerobic bacterium of the novel bacterial phylum Calditrichaeota. // Frontiers in Microbiology. 2017, v. 8, № article 195, p. 1-16. 101. Kulichevskaya I.S., Ivanova A. A., Baulina O.I., Rijpstra W.I., Damste J.S., Dedysh S.N. Fimbriiglobus ruber gen. nov., sp. nov., a Gemmata-like planctomycete from Sphagnum peat bog and the proposal of Gemmataceae fam. nov. // International Journal of Systematic and Evolutionary Microbiology. 2017, v. 67, № 2, p. 218-224. 102. Kulichevskaya IS, Ivanova AA, Detkova EN, Rijpstra WIC, Sinninghe Damsté JS, Dedysh SN. Tundrisphaera lichenicola gen. nov., sp. nov., a psychrotolerant representative of the family Isosphaeraceae from lichen-dominated tundra soils. // International Journal of Systematic and Evolutionary Microbiology. 2017, v. 67, № 9, p. 3583-3589. 103. Li C., Zhang Y., Eremin S.A., Yakup O., Yao G., Zhang X. Detection of kanamycin and gentamicin residues in animal-derived food using IgY antibody based ic-ELISA and FPIA. // Food Chemistry. 2017, v. 227, p. 48-54. 104. Lioznova A.V., A.M. Khamis, A.V. Artemov, V. Ramensky, V.B. Bajic, Y.A. Medvedeva. CpG Traffic Lights: functional positions that are involved in regulation in humans. // FEBS Journal. 2017, v. 284, № S1, № article ShT.3.2-003, p. 36-36. 105. Lyalina Tatiana, Anastasia Zubareva, Sergey Lopatin, Vitaly Zubov, Svetlana Sizova, Elena Svirshchevskaya. Correlation Analysis of Chitosan Physicochemical Parameters Determined by Different Methods. // Organic & Medicinal Chemistry International Journal. 2017, v. 1, № 3, p. 1-9. 106. Maksimov, E. G.; Sluchanko, N. N.; Slonimskiy, Y. B.; Slutskaya, E. A.; Stepanov, A. V.; Argentova-Stevens, A. M.; Shirshin, E. A.; Tsoraev, G. V.; Klementiev, K. E.; Slatinskaya, O. V.; Lukashev, E. P.; Friedrich, T.; Paschenko, V. Z.; Rubin, A. B. The photocycle of orange carotenoid protein conceals distinct intermediates and asynchronous changes in the carotenoid and protein components. // Scientific Reports. 2017, т. 7, № article 15548, c. — . 107. Marcus Moldenhauer, Nikolai N. Sluchanko, David Buhrke, Dmitry V. Zlenko, Neslihan N. Tavraz, Franz-Josef Schmitt, Peter Hildebrandt, Eugene G. Maksimov, Thomas Friedrich. Assembly of photoactive orange carotenoid protein from its domains unravels a carotenoid shuttle mechanism. // Photosynthesis Research. 2017, v. 133, № 1-3, p. 327-341. 108. Mardanov A.V., Beletsky A.V., Eldarov M.A., Tanashchuk T.N., Kishkovskaya S.A., Ravin N.V. Complete mitochondrial genomes of three Saccharomyces cerevisiae flor strains. // MITOCHONDRIAL DNA PART B: RESOURCES. 2017, v. 2, № 2, p. 849-850. 109. Mardanov A.V., Beletsky A.V., Ivasenko D.A., Karnachuk O.V., Ravin N.V. Metagenome sequence of a microbial community from the gold mine tailings in the Kuzbass area, Russia. // Genome Announcements. 2017, v. 49, № 5, № article e01355-17. 110. Mardanov A.V., Beletsky A.V., Nikolaev Y., Kotlyarov R.Y., Kallistova A., Pimenov N.V., Ravin N.V. Metagenome of the microbial community of anammox granules in a nitritation/anammox wastewater treatment system. // Genome Announcements. 2017, v. 42, № 5, № article e01115-17. 111. Mardanova E.S., Blokhina E.A., Tsybalova L.M., Peyret H., Lomonossoff G.P., Ravin N.V. Efficient transient expression of recombinant proteins in plants by the novel pEff vector based on the genome of Potato Virus X. // Frontiers in Plant Science. 2017, v. 8, № article 247. 112. Matolygina D.A., Eremeev N.L., Ovchinnikova E.D., Atroshenko D.L., Savin S.S., Smirnov S.A., Tishkov V.I., Levashov A.V., Levashov P.A. Quantitative relationship between the rate of enzyme cell lysis determined by microbiological and turbidimetric techniques. // FEBS Journal. 2017, v. 284, № S1, p. 324-324. 113. Matyushenko Alexander M., Daniil V. Shchepkin, Galina V. Kopylova, Katerina E. Popruga, Natalya V. Artemova, Anastasia V. Pivovarova, Sergey Y. Bershitsky, Dmitrii I. Levitsky. Structural and Functional Effects of Cardiomyopathy-Causing Mutations in the Troponin T-Binding Region of Cardiac Tropomyosin. // Biochemistry. 2017, v. 56, № 1, p. 250-259. 114. Matyushenko Alexander M., Natalia V. Artemova, Daniil V. Shchepkin, Galina V. Kopylova, Salavat R. Nabiev, Larisa V. Nikitina, Dmitrii I. Levitsky, Sergey Y. Bershitsky. The interchain disulfide cross-linking of tropomyosin alters its regulatory properties and interaction with actin filament. // Biochemical and Biophysical Research Communications. 2017, v. 482, № 2, p. 305-309. 115. Matyushenko, D. Logvinova, D. Shchepkin, G. Kopylova, D. Levitsky. Effects of various mutations in alpha- or beta-chains of tropomyosin on structural and functional properties of its alpha beta-heterodimers. // FEBS Journal. 2017, v. 284, № S1, p. 198-198. 116. Melton E.D., Sorokin D.Y., Overmars L., Lapidus A.L., Pillay M., Ivanova N., Glavina del Rio T., Kyrpides N.C., Woyke T., Muyzer G. Draft genome sequence of Dethiobacter alkaliphilus strain AHT1T, a gram-positive sulfidogenic polyextremophile. // Standards in Genomic Sciences. 2017, v. 12, № 57. 117. Merkel A.Yu., Pimenov N.V, Rusanov I.I., Slobodkin A.I., Slobodkina G.B., Tarnovetckii I.Yu., Frolov E.N., Dubin A.V., Perevalova A.A., Bonch‑Osmolovskaya E.A. Microbial diversity and autotrophic activity in Kamchatka hot springs. // Extremophiles. 2017, v. 21, № 2, p. 307-317. 118. Mikaelyan M.M., Pogosyan G.G., Hendrickson O.D., Dzantiev B.B., Gasparyan V.K. Wheat germ agglutinin and Lens culinaris agglutinin sensitized anisotropic silver nanoparticles in detection of bacteria: A simple photometric assay. // Analytica Chimica Acta. 2017, v. 981, p. 80-85. 119. Mikhaylova V., T. Eronina, N. Chebotareva, B. Kurganov. Kinetic mechanism of aggregation of UV-irradiated glycogen phosphorylase b. // FEBS Journal. 2017, v. 284, № S1, p. 212-212. 120. Mikhaylova, Valeriya V.; Eronina, Tatiana B.; Chebotareva, Natalia A.; Kleymenov, Sergey Yu. ; Shubin, Vladimir V.; Kurganov, Boris I. A thermal after-effect of UV irradiation of muscle glycogen phosphorylase b. // PLOS ONE. 2017, v. 12, № 12, № article e0189125. 121. Miroshnikov K.K., Alena Didriksen, Daniil G. Naumoff, Marcel Huntemann, Alicia Clum, Manoj Pillay, Krishnaveni Palaniappan, Neha Varghese, Natalia Mikhailova, Supratim Mukherjee, T. B. K. Reddy, Chris Daum, Nicole Shapiro, Natalia Ivanova, Nikos Kyrpides, Tanja Woyke, Svetlana N. Dedysh, Mette M. Svenning. Draft genome sequence of Methylocapsa palsarum NE2T, an obligate methanotroph from subarctic soil. // Genome Announcements. 2017, v. 5, № 24, № article e00504-17. 122. Mojtaba Amani, Ali A. Moosavi-Movahedi, Boris I. Kurganov. What can we get from varying scan rate in protein differential scanning calorimetry?. // International Journal of Biological Macromolecules. 2017, v. 99, p. 151-159. 123. N. Chebotareva, S. Roman, T. Eronina, V. Mikhaylova, B. Kurganov. Kinetics of aggregation of phosphorylase kinase from rabbit skeletal muscle. // FEBS Journal. 2017, v. 284, № S1, p. 190-190. 124. N. Sluchanko, K. Tugaeva, Y. Faletrov, E. Maksimov. Solution structure of human STARD1 protein and its interaction with fluorescently-labeled cholesterol analogues with different position of the NBD-group. // FEBS Journal. 2017, v. 284, № S1, p. 182-183. 125. N’Diaye A., Gannesen A., Borrel V., Maillot O., Enaut J., Racine P-J., Plakunov V., Chevalier S., Lesouhaitier O., Feuilloley M.G.J. Substance P and Calcitonin Gene-Related Peptide: Key Regulators of Cutaneous Microbiota Homeostasis (mini-review). // Frontiers in Endocrinology. 2017, v. 8, № article 15. 126. Naumoff D.G. Glycoside hydrolases encoded by the Methyloferula stellata genome. // Glycoconjugate Journal. 2017, v. 34, p. 96-97. 127. Nazina T.N., Shestakova N.M., Ivoilov V.S., Kostrukova N.K., Belyaev S.S., Ivanov M.V. Radiotracer assay of microbial processes in petroleum reservoirs. // Advances in Biotechnology & Microbiology. 2017, v. 2, № 4, p. 1-9. 128. Nazina T.N., Shestakova N.M., Semenova E.M., Korshunova A.V., Kostrukova N.K., Tourova T.P., Min L., Feng Q., Poltaraus A.B. Diversity of metabolically active Bacteria in water-flooded high-temperature heavy oil reservoir. // Frontiers in Microbiology. 2017, v. 8, № article 707. 129. Nedoluzhko A.V., Sharko F.S., Tsygankova S.V., Boulygina E.S., Sokolov A.S., Rastorguev S.M., Kadnikov V.V., Mardanov A.V., Ravin N.V., Mazur A.M., Polilov A.A., Gruzdeva N.M., Prokhortchouk E.B., Skryabin K.G. Metagenomic analysis of microbial community of a parasitoid wasp Megaphragma amalphitanum. // Genomics Data. 2017, № 11, p. 87-88. 130. Nikolai N. Sluchanko, Konstantin E. Klementiev, Evgeny A. Shirshin, Georgy V. Tsoraev, Thomas Friedrich, Eugene G. Maksimov. The purple Trp288Ala mutant of Synechocystis OCP persistently quenches phycobilisome fluorescence and tightly interacts with FRP. // Biochimica et Biophysica Acta (BBA) — Bioenergetics. 2017, v. 1858, № 1, p. 1-11. 131. Nikolai N. Sluchanko, Kristina V. Tugaeva, Eugene G. Maksimov. Solution structure of human steroidogenic acute regulatory protein STARD1 studied by small-angle X-ray scattering. // Biochemical and Biophysical Research Communications. 2017, v. 489, № 4, p. 445-450. 132. Nikolai N. Sluchanko, Kristina V. Tugaeva, Sandra J. Greive, Alfred A. Antson. Chimeric 14-3-3 proteins for unraveling interactions with intrinsically disordered partners. // Scientific Reports. 2017, v. 7, № 1, № article 12014. 133. Nikolai N. Sluchanko, Nikolai B. Gusev. Moonlighting chaperone-like activity of the universal regulatory 14-3-3 proteins. // FEBS Journal. 2017, v. 284, № 9, p. 1279-1295. 134. Nikolai N. Sluchanko, Steven Beelen, Alexandra A. Kulikova, Stephen D. Weeks, Alfred A. Antson, Nikolai B. Gusev, Sergei V. Strelkov. Structural Basis for the Interaction of a Human Small Heat Shock Protein with the 14-3-3 Universal Signaling Regulator. // Structure. 2017, v. 25, № 2, p. 305-316. 135. Nikolai N. Sluchanko, Yury B. Slonimskiy, Marcus Moldenhauer, Thomas Friedrich, Eugene G. Maksimov. Deletion of the short N-terminal extension in OCP reveals the main site for FRP binding. // FEBS Letters. 2017, v. 591, № 12, p. 1667-1676. 136. Oberemok, Volodymyr V.; Laikova, Kateryna V.; Zaitsev, Aleksei S.; Shumskykh, Maksym N.; Kasich, Igor N.; Gal’chinsky, Nikita V.; Bekirova, Viktoriya V.; Makarov, Valentin V.; Agranovsky, Alexey A.; Gushchin, Vladimir A.; Zubarev, Ilya V.; Kubyshkin, Anatoly V.; Fomochkina, Iryna I.; Gorlov, Mikhail V.; Skorokhod, Oleksii A. Molecular Alliance of Lymantria dispar Multiple Nucleopolyhedrovirus and a Short Unmodified Antisense Oligonucleotide of Its Anti-Apoptotic IAP-3 Gene: A Novel Approach for Gypsy Moth Control. // International journal of molecular sciences. 2017, т. 18, № 11, № article 2446, c. — . 137. Orlova N. A., Kovnir S.V., Gabibov A. G., Vorobiev I.I. Stable high-level expression of factor VIII in Chinese hamster ovary cells in improved elongation factor-1 alpha-based system. // BMC Biotechnology. 2017, v. 17, № 1, № article 33. 138. Osmakova, Alina; Kirpichnikov, Michael; Popov, Vladimir. Recent biotechnology developments and trends in the Russian Federation. // New Biotechnology. 2017, т. 40, A, c. 76-81. 139. Panferov V.G., Safenkova I.V., Zherdev A.V., Dzantiev B.B. Setting up the cut-off level of a sensitive barcode lateral flow assay with magnetic nanoparticles. // Talanta. 2017, v. 164, p. 69-76. 140. Pavlova E.R., Bagrov Dmitry V., Kopitsyna Maria N., Shchelokov Dmitry A., Bonartsev Anton P., Zharkova Irina I., Mahina Tatiana K., Myshkina Vera L., Bonartseva Galina A., Shaitan Konstantin V., Klinov Dmitry V. Poly(hydroxybutyrate-co-hydroxyvalerate) and bovine serum albumin blend prepared by electrospinning. // Journal of Applied Polymer Science. 2017, v. 134, № 29, № article 45090. 141. Petrakova A.V., Urusov A.E., Gubaydullina M.K., Bartosh A.V., Zherdev A.V., Dzantiev B.B. «External» antibodies as the simplest tool for sensitive immunochromatographic tests. // Talanta. 2017, v. 175, p. 77-81. 142. Pishchalnikov R. Yu., V. V. Shubin, A. P. Razjivin. SPECTRAL DIFFERENCES BETWEEN MONOMERS AND TRIMERS OF PHOTOSYSTEM I DEPEND ON THE INTERACTION BETWEEN PERIPHERAL CHLOROPHYLLS OF NEIGHBORING MONOMERS IN TRIMER. // Physics of Wave Phenomena. 2017, v. 25, № 3, c. 185-195. 143. Podosokorskaya O.A., Merkel A.Y., Heerden E.V., Cason E.D., Kopitsyn D.S., Vasilieva M., Bonch-Osmolovskaya E.A., Kublanov I.V. Sporosalibacterium tautonense sp nov., a thermotolerant, halophilic, hydrolytic bacterium isolated from a gold mine, and emended description of the genus Sporosalibacterium. // International Journal of Systematic and Evolutionary Microbiology. 2017, v. 67, № 5, p. 1457-1461. 144. 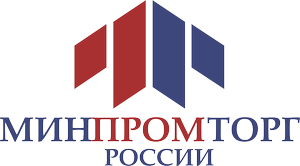 Pokrovskaya M. V., Zhdanov D. D., Eldarov M. A., Aleksandrova S. S., Veselovskiy A. V., Pokrovskiy V. S., Grishin D. V., Gladilina J. A., Sokolov N. N. ПОДАВЛЕНИЕ АКТИВНОСТИ ТЕЛОМЕРАЗЫ ЛЕЙКОЗНЫХ КЛЕТОК МУТАНТЫМИ ФОРМАМИ L-АСПАРАГИНАЗЫ RHODOSPIRILLUM RUBRUM Suppression of telomerase activity leukemic cells by mutant forms of Rhodospirillum rubrum L-asparaginase. // Биохимия. 2017, т. 63, № 1, c. 62-74. 145. Poloznikov A.A., Zakhariants A.A., Nikulin S.V., Smirnova N.A., Hushpulian D.M., Gaisina I.N., Tonevitsky A.G., Tishkov V.I., Gazaryan I.G. Structure-activity relationship for branched oxyquinoline HIF activators: effect of modifications to phenylacetamide “tail”. // Biochimie. 2017, v. 133, p. 74-79. 146. Polyakov K.M., Gavryushov S., Ivanova S., Fedorova T.V., Glazunova O.A., Popov A.N., Koroleva O.V. Structural study of the X-ray-induced enzymatic reduction of molecular oxygen to water by Steccherinum murashkinskyi laccase: Insights into the reaction mechanism. // Acta Crystallographica Section D: Structural Biology. 2017, v. 73, № 5, p. 388-401. 147. Pometun A., Zarubina S.A., Kargov I.S., Serov A.E., Parshin P.D., Savin S.S., Tishkov V.I. Role of residues in conserved sequence region in formate dehydrogenases from different sources. // FEBS Journal. 2017, v. 284, № S1, p. 213-213. 148. Popinako A., Antonov M., Tikhonov A., Tikhonova T., Popov V. Structural adaptations of octaheme nitrite reductases from haloalkaliphilic Thioalkalivibrio bacteria to alkaline pH and high salinity. // PLoS ONE. 2017, v. 12, № 5, № article e0177392. 149. Popinako A., M. Antonov, E. Bezsudnova, V. Popov. Thermally stable and thermally sensitive regions of short-chain alcohol dehydrogenases determined by molecular dynamics method. // FEBS Journal. 2017, v. 284, № S1, p. 185-185. 150. Popinako, Anna V.; Antonov, Mikhail Yu. ; Bezsudnova, Ekaterina Yu. ; Prokopiev, Georgiy A.; Popov, Vladimir O. Molecular Dynamics Study of the Structural and Dynamic Characteristics of the Polyextremophilic Short-Chain Dehydrogenase from the Thermococcus Sibiricus Archaeon and Its Homologues. // Proceedings of the 8th international conference on mathematical modeling (icmm-2017). 2017, т. 1907, № article UNSP 030029, c. — . 151. Porotikova E.V., U. D. Dmitrenko, E.E. Atapina, Y.A. Volkov, V.I. Risovannaya, E.P. Stranishevskaya, S.M. Gorislavets, A.M. Kamionskaya, S.V Vinogradova. First Report of the Bacterial Leaf Spot Caused by Pseudomonas syringae on Grapevine (Vitis vinifera) in Russia. // Plant Disease. 2017, v. 101, № 2, p. 380-380. 152. Prokhorov, Nikolai S.; Riccio, Cristian; Zdorovenko, Evelina L.; Shneider, Mikhail M.; Browning, Christopher; Knirel, Yuriy A.; Leiman, Petr G.; Letarov, Andrey V. Function of bacteriophage G7C esterase tailspike in host cell adsorption. // Molecular Microbiology. 2017, v. 105, № 3 , c. 385-398. 153. Pshennikova ES, Tereshina MB, Voronina AS. Expression of vox and vent mRNAs and encoded proteins in zebrafish embryos. // Stem Cell Investigation. 2017, v. 4, № article 60. 154. Rastorguev, S. M.; Nedoluzhko, A. V.; Gruzdeva, N. M.; Boulygina, E. S.; Sharko, F. S.; Ibragimova, A. S.; Tsygankova, S. V.; Artemov, A. V.; Skryabin, K. G.; Prokhortchouk, E. B. Differential miRNA expression in the three-spined stickleback, response to environmental changes. // SCIENTIFIC REPORTS. 2017, v. 7 , № article 18089, p. .
155. Renieri E.A., Sfakianakis D.G., Alegakis A.A., Safenkova I.V., Buha A., Matovic V., Tzardi M., Dzantiev B.B., Pascal D., Kentouri M., Tsatsakis A.M. Nonlinear responses to waterborne cadmium exposure in zebrafish. An in vivo study. // Environmental Research. 2017, v. 157, p. 173-181. 156. Robinson S.C., Klobucar K., Pierre C.C., Ansari A., Zhenilo S., Prokhortchouk E., Daniel J.M. Kaiso differentially regulates components of the Notch signaling pathway in intestinal cells. // Cell Communication and Signaling. 2017, v. 15, № article 24, p. 24-37. 157. Rosado LA, Wahni K, Degiacomi G, Pedre B, Young D, la Rubia A G de, Boldrin F, Martens E, Marcos-Pascual L, Sancho-Vaello E, Albesa-Jové D, Provvedi R, Martin C, Makarov V, Versées W, Verniest G, Guerin ME, Mateos LM, Manganelli R, Messens J. The antibacterial prodrug activator Rv2466c is a mycothiol-dependent reductase in the oxidative stress response of Mycobacterium tuberculosis. // Journal of Biological Chemistry. 2017, v. 292, № 32, p. 13097-13110. 158. Roy, Ipsita; Kurganov, Boris I. Protein aggregation. // International Journal of Biological Macromolecules. 2017, т. 100, SI, c. 1-2. 159. Safenkova I.V., Zaitsev I.A., Varitsev Yu.A., Byzova N.A., Drenova N.V., Zherdev A.V., Dzantiev B.B. Development of a lateral flow immunoassay for rapid diagnosis of potato blackleg caused by Dickeya species. // Analytical and Bioanalytical Chemistry. 2017, v. 409, № 7, p. 1915-1927. 160. Salina E.G., Ryabova O.B., Vocat A., Nikonenko B., Cole S.T., Makarov V.A. New 1-hydroxy-2-thiopyridine derivatives active against both replicating and dormant Mycobacterium tuberculosis. // Journal of Infection and Chemotherapy. 2017, v. 23, № 11, p. 794-797. 161. Salina, Grigorov, Azhikina, Kaprelyants, Mikusova, Makarov. New 1-hydroxy-2-thiopyridines combat Mycobacterium tuberculosis violating copper homeostasis. // FEBS Journal. 2017, v. 284, № S1, p. 333-334. 162. Samohvalov A.V., Safenkova I.V., Eremin S.A., Zherdev A.V., Dzantiev B.B. Use of anchor protein modules in fluorescence polarisation aptamer assay for ochratoxin A determination. // Analytica Chimica Acta. 2017, v. 962, p. 80-87. 163. Samokhvalov A.V., Razo S.C., Safenkova I.V., Slutskaya E.S., Pridvorova S.M., Zherdev A.V., Dzantiev B.B. Synthesis of the most effective streptavidin conjugates with small gold nanoparticles for indirect labeling in lateral flow assay. // International Journal of Applied Engineering Research. 2017, v. 12, № 23, p. 13847-13860. 164. Sankov V, Shagdarova B, Chudakov D, Reshetov P, Grechikhina M, Zubareva A, Varlamov V, Esipov R, Zubov V, Svirshchevskaya E. Synthesis and Evaluation of Chitosan Derivatives for Large Size DNA Delivery. // Organic & Medicinal Chemistry International Journal. 2017, v. 1, № 5, № article 555572, p. 1-7. 165. Sankov V., Shagdarova B., Varlamov V., Esipov R., Svirshchevskaya E. LARGE SIZE DNA IN VITRO AND IN VIVO DELIVERY USING CHITOSAN TRANSFECTION. // Progress on Chemistry and Application of Chitin and its Derivatives. 2017, № 22, p. 190-200. 166. Savelyeva, Ekaterina; Kalegina, Anna; Boris, Ksenia; Kochieva, Elena; Kudryavtsev, Alexander. Retrotransposon-based sequence-specific amplified polymorphism markers for the analysis of genetic diversity and phylogeny in Malus Mill. (Rosaceae). // Genetic Resources and Crop Evolution. 2017, т. 64, № 7 , c. 1499-1511. 167. Savinova Olga S., Konstantin V. Moiseenko, Ekaterina A. Vavilova, Tatiana V. Tyazhelova, Daria V. Vasina. Properties of two laccases from the Trametes hirsuta 072 multigene family: Twins with different faces. // Biochimie. 2017, v. 142, p. 183-190. 168. Savvichev A.S., Kokryatskaya N.M., Zabelina S.A., Rusanov I.I., Zakharova E.E., Veslopolova E.F., Lunina O.N., Patutina E.O., Bumazhkin B.K., Gruzdev D.S., Sigalevich P.A., Pimenov N.V., Kuznetsov B.B., Gorlenko V.M. Microbial processes of the carbon and sulfur cycles in an ice-covered, iron-rich meromictic lake Svetloe (Arkhangelsk region, Russia). // Environmental Microbiology. 2017, v. 19, № 2, p. 659-672. 169. Scheiblbrandner S, Breslmayr E, Csarman F, Paukner R, Führer J, Herzog PL, Shleev SV, Osipov EM, Tikhonova TV, Popov VO, Haltrich D, Ludwig R, Kittl R. Evolving stability and pH-dependent activity of the high redox potential Botrytis aclada laccase for enzymatic fuel cells. // Scientific Reports. 2017, v. 7, № 1, № article 13688. 170. Sergeeva E.M., Shcherban A.B., Adonina I.G., Nesterov M.A., Beletsky A.V., Rakitin A.L., Mardanov A.V., Ravin N.V., Salina E.A. Fine organization of genomic regions tagged to the 5S rDNA locus of the bread wheat 5B chromosome. // BMC Plant Biology. 2017, v. 17, № 1, № article 183. 171. Sergeeva, V. A.; Ershova, E. S.; Veiko, N. N.; Malinovskaya, E. M.; Kalyanov, A. A.; Kameneva, L. V.; Stukalov, S. V.; Dolgikh, O. A.; Konkova, M. S.; Ermakov, A. V.; Veiko, V. P.; Izhevskaya, V. L.; Kutsev, S. I.; Kostyuk, S. V. Low-Dose Ionizing Radiation Affects Mesenchymal Stem Cells via Extracellular Oxidized Cell-Free DNA: A Possible Mediator of Bystander Effect and Adaptive Response. // Oxidative Medicine and Cellular Longevity. 2017, № article 9515809. 172. Serpionov GV, Alexandrov AI, Ter-Avanesyan MD. Distinct mechanisms of mutant huntingtin toxicity in different yeast strains. // FEMS Yeast Research. 2017, v. 17, № 1, № article fow102. 173. Shen X., Chen J., Li X., Lei H., Xu Z., Liu Y., Huang X., Eremin S.A., Wu C., Jia A. Monoclonal antibody-based homogeneous immunoassay for three banned agonists and molecular modeling insight. // Food and Agricultural Immunology. 2017, v. 28, № 6, p. 1438-1449. 174. Shishkin S., Eremina L., Pashintseva N., Kovalev L., Kovaleva M. Cofilin-1 and other adf/cofilin superfamily members in human malignant cells. // International Journal of Molecular Sciences. 2017, v. 18, № 1, № article 10, p. 1-27. 175. Shleeva M. O., Kondratieva T. K., Demina G. R., Rubakova E. I., Goncharenko A. V., Apt A. S., Kaprelyants A. S. Overexpression of Adenylyl Cyclase Encoded by the Mycobacterium tuberculosis Rv2212 Gene Confers Improved Fitness, Accelerated Recovery from Dormancy and Enhanced Virulence in Mice. // Frontiers in cellular and infection microbiology. 2017, v. 7, № article 370. 176. Shleeva MO, Trutneva K. A., Demina G. R., Zinin A. I., Sorokoumova G. M., Laptinskaya P. K., Shumkova E. S., Kaprelyants A. S. Free Trehalose Accumulation in Dormant Mycobacterium smegmatis Cells and Its Breakdown in Early Resuscitation Phase. // Frontiers in Microbiology. 2017, v. 8, № article 524. 177. Shubin V.V., Terekhova I.V., Bolychevtseva Y.V., El-Mohsnawy E., Rögner M., Mäntele W., Kopczak M.J., Džafić E. Thermostability of photosystem i trimers and monomers from the cyanobacterium Thermosynechococcus elongatus. // Spectrochimica Acta Part A: Molecular and Biomolecular Spectroscopy. 2017, v. 179, p. 17-22. 178. Shulga O. A., A. V. Nedoluzhko, A. V. Shchennikova, N. M. Gruzdeva, A. A. Shelenkov, F. S. Sharko, A. S. Sokolov, E. S. Pantiukh, S. M. Rastorguev, E. B. Prokhortchouk, K. G. Skryabin. Profiling of microRNAs in wild type and early flowering transgenic Chrysanthemum morifolium by deep sequencing. // Plant Cell, Tissue and Organ Culture. 2017, v. 128, № 2, p. 283-301. 179. Shulga Olga A., Anna V. Shchennikova, Alexey V. Beletsky, Andrey V. Mardanov, Elena Z. Kochieva, Mikhail A. Filyushin, Nikolay V. Ravin, Konstantin G. Skryabin. Transcriptome-Wide Characterization of the MADS-Box Family in Pinesap Monotropa hypopitys Reveals Flowering Conservation in Non-photosynthetic Myco-Heterotrophs. // Journal of Plant Growth Regulation. 2017, p. 1-16. 180. Shumaev K.B., Kosmachevskaya O.V., Nasybullina E.I., Gromov S.V., Novikov A.A., Topunov A.F. New dinitrosyl iron complexes bound with physiologically active dipeptide carnosine. // Journal of Biological Inorganic Chemistry. 2017, v. 22, № 1, p. 153-160. 181. Shumakovich G.P., O.V. Morozova, M.E. Khlupova, I.S. Vasil’eva, E.A. Zaitseva, A.I. Yaropolov. Enhanced performance of a flexible supercapacitor due to a combination of pseudocapacitances of both PANI/MWCNT composite electrode and gel polymer redox electrolyte. // RSC Advances. 2017, v. 7, № 54, p. 34192-34196. 182. Shurubor YI, D’Aurelio M, Clark-Matott J, Isakova EP, Deryabina YI, Beal MF, Cooper AJL, Krasnikov BF. Determination of Coenzyme A and Acetyl-Coenzyme A in Biological Samples Using HPLC with UV Detection. // Molecules. 2017, v. 22, № 9, № article E1388, p. 1-13. 183. Slobodkina G.B., Baslerov R.V., Novikov A.A, Bonch-Osmolovskaya E.A., Slobodkin A.I. Thermodesulfitimonas autotrophica gen. nov., sp. nov. a thermophilic, obligate sulfite-reducing bacterium isolated from a terrestrial hot spring. // International Journal of Systematic and Evolutionary Microbiology. 2017, v. 67, № 2, p. 301-305. 184. Slobodkina G.B., Mardanov A.V., Ravin N.V., Frolova A.A., Chernyh N.A., Bonch-Osmolovskaya E.A., Slobodkin A.I. Respiratory ammonification of nitrate coupled to anaerobic oxidation of elemental sulfur in deep-sea autotrophic thermophilic bacteria. // Frontiers in Microbiology. 2017, v. 8, № article 87. 185. 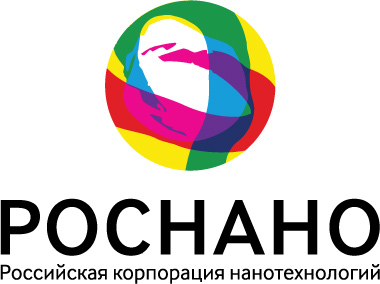 Slobodkina GB, Reysenbach AL, Kolganova TV, Novikov AA, Bonch-Osmolovskaya EA, Slobodkin AI. Thermosulfuriphilus ammonigenes gen. nov., sp. nov., a thermophilic, chemolithoautotrophic bacterium capable of respiratory ammonification of nitrate with elemental sulfur. // International Journal of Systematic and Evolutionary Microbiology. 2017, v. 9, № 67, p. 3474-3479. 186. Slugina M.A., Dyachenko E.A., Kochieva E.Z., Shchennikova A.V. Tomato SEP3-like LeMADS5 transcription factors have diverse activity during reproductive development and fruit ripening in cultivated and wild Solanum section Lycopersicon accessions. // FEBS Journal. 2017, v. 284, № Suppl. 1, p. 293-293. 187. Slugina M.A., Shchennikova A.V., Kochieva E.Z. TAI vacuolar invertase orthologs: the interspecific variability in tomato plants (Solanum section Lycopersicon). // Molecular Genetics and Genomics. 2017, v. 292, № 5, p. 1123-1138. 188. SN Gavrilov, Olga Podosokorskaya, G. Alexeev Dmitry, Alexander Y. Merkel, Maria A. Khomyakova, Maria S. Muntyan, Ilya A. Altukhov, Ivan O. Butenko, Elizaveta A. Bonch-Osmolovskaya, Vadim Markovich Govorun, Ilya V. Kublanov. Respiratory Pathways Reconstructed by Multi-Omics Analysis in Melioribacter roseus, Residing in a Deep Thermal Aquifer of the West-Siberian Megabasin. // Frontiers in Microbiology. 2017, v. 8, № article 1228. 189. Sogand Sasan Moghadam, Ahmad Oryan, Boris I. Kurganov, Ali-Mohammad Tamaddon, Mohammad Mehdi Alavianehr, Ali Akbar Moosavi-Movahedi, Reza Yousefi. The structural damages of lens crystallins induced by peroxynitrite and methylglyoxal, two causative players in diabetic complications and preventive role of lens antioxidant components. // International Journal of Biological Macromolecules. 2017, v. 103, p. 74-88. 190. Solovchenko A.E., Neverov K.V. Carotenogenic response in photosynthetic organisms: a colorful story. // Photosynthesis Research. 2017, v. 133, № 1-3 S1, p. 31-47. 191. Sorokin D.Y., Chernyh N.A. Desulfonatronospira sulfatiphila sp nov., and Desulfitispora elongata sp nov., two novel haloalkaliphilic sulfidogenic bacteria from soda lakes. // International Journal of Systematic and Evolutionary Microbiology. 2017, v. 67, № 2, p. 396-401. 192. Sorokin D.Y., Khijniak T.V., Galinski E.A., Kublanov I.V. Natronotalea proteinilytica gen. nov., sp nov and Longimonas haloalkaliphila sp nov., extremely haloalkaliphilic members of the phylum Rhodothermaeota from hypersaline alkaline lakes. // International Journal of Systematic and Evolutionary Microbiology. 2017, v. 67, № 10, p. 4161-4167. 193. Sorokin D.Y., Kolganova T.V., Khijniak T.V., Jones B.E., Kublanov I.V. Diversity of cultivated aerobic poly-hydrolytic bacteria in saline alkaline soils. // PeerJ. 2017, v. 5, № article e3796. 194. Sorokin DY, Kublanov IV, Khijniak TV. Natronospira proteinivora gen. nov., sp. nov, an extremely salt-tolerant, alkaliphilic gammaproteobacterium from hypersaline soda lakes. // International Journal of Systematic and Evolutionary Microbiology. 2017, v. 67, № 8, p. 2604-2608. 195. Sotnikov D.V., Zherdev A.V., Dzantiev B.B. Mathematical model of serodiagnostic immunochromatographic assay. // Analytical Chemistry. 2017, v. 89, № 8, p. 4419-4427. 196. Stekhanova T.N., Rakitin A.L., Mardanov A.V., Bezsudnova E.Yu., Popov V.O. A Novel highly thermostable branched-chain amino acid aminotransferase from the crenarchaeon Vulcanisaeta moutnovskia. // Enzyme and Microbial Technology. 2017, v. 96, p. 127-134. 197. Svetlana G. Roman, Natalia A. Chebotareva, Boris I. Kurganov. Anti-aggregation activity of small heat shock proteins under crowded conditions. // International Journal of Biological Macromolecules. 2017, v. 100, p. 97-103. 198. Syrkina M.S., Maslakova A.A., Potashnikova D.M., Veiko V.P., Vassetzky Y.S., Rubtsov M.A. Dual Role of the Extracellular Domain of Human Mucin MUC1 in Metastasis. // Journal of Cellular Biochemistry. 2017, v. 118, № 11, p. 4002-4011. 199. Taranova N.A., Berlina A.N., Semeykina A.A., Zherdev A.V., Dzantiev B.B. Comparative characteristics of nanodisperse markers for immunochromatographic test systems. // NANO HYBRIDS AND COMPOSITES. 2017, v. 13, p. 32-38. 200. Taranova N.A., Urusov A.E., Sadykhov E.G., Zherdev A.V., Dzantiev B.B. Bifunctional gold nanoparticles as an agglomeration-enhancing tool for highly sensitive lateral flow tests: a case study with procalcitonin. // Microchimica Acta. 2017, v. 184, № 10, p. 4189-4195. 201. Teplova V.V., Kruglov A.G., Kovalyov L.I., Nikiforova A.B., Fedotcheva N.I., Lemasters J.J. Glutamate contributes to alcohol hepatotoxicity by enhancing oxidative stress in mitochondria. // Journal of Bioenergetics and Biomembranes. 2017, v. 49, № 3, p. 253-264. 202. Tishkov V.I., Atroshenko D.L., Zarubina S.A., Shelomov M.D., Karnaukhov V.K., Pometun A.A., Savin S.S. Structure-function relationship and chemical stability of yeast D-amino acid oxidase. // FEBS Journal. 2017, v. 284, № S1, p. 199-200. 203. Trifonova E.A., V.A. Zenin, N.A. Nikitin, M.S. Yurkova, E.M. Ryabchevskaya, E.V. Putlyaev, E.K. Donchenko, O.A. Kondakova, A.N. Fedorov, J.G. Atabekov, O.V. Karpova. Study of rubella candidate vaccine based on a structurally modified plant virus. // Antiviral Research. 2017, v. 144, p. 27-33. 204. Trutneva K., M. Shleeva, G. Demina, A. Kaprelyants. Survival and reactivation of dormant «non-culturable» mycobacteria depends on trehalose content and trehalase activity. // FEBS Journal. 2017, v. 284, № S1, p. 374-375. 205. Tyupa D. V., Kalenov S. V., Baurina M. M., Kabanov O. V., Skladnev D. A., Kuznetsov A. Ye. Optimization of silver biosorption by fungi forming granules from aqueous solutions of silver nitrate. // Clean Technologies and Environmental Policy. 2017, v. 19, № 1, p. 53-62. 206. Urakov VN, Mitkevich OV, Safenkova IV, Ter-Avanesyan MD. Ribosome-bound Pub1 modulates stop codon decoding during translation termination in yeast. // FEBS Journal. 2017, v. 284, № 12, p. 1914-1930. 207. Urusov A.E., Petrakova A.V., Gubaydullina M.K., Zherdev A.V., Eremin S.A., Kong D., Liu L., Xu C., Dzantiev B.B. High-sensitivity immunochromatographic assay for fumonisin B1, based on indirect antibody labelling. // Biotechnology Letters. 2017, v. 39, № 5, c. 751-758. 208. Urusov A.E., Petrakova A.V., Zherdev A.V., Dzantiev B.B. Magnetic nanoparticles as carriers for immunoassays. // Nano hybrids and composites. 2017, v. 13, p. 54-62. 209. Usakin L., Weir L., Solovieva E., Rudyak S., Klein O., Paltsev M., Panteleyev A. The role of hypoxia in control of CK1 expression and keratinocyte differentiation in monolayer culture and 3D skin equivalents. // Journal of Investigative Dermatology. 2017, v. 137, № 5, p. 75-75. 210. Vasilieva T., D. Chuhchin, S. Lopatin, V. Varlamov, A. Sigarev, M. Vasiliev. Chitin And Cellulose Processing In Low-Temperature Electron Beam Plasma. // Molecules. 2017, v. 22, № 11, № article pii: E1908, p. 1-15. 211. Vasina DV, Moiseenko KV, Fedorova TV, Tyazhelova TV. Absolute expression quantification of full multigene family. // PLoS ONE. 2017, v. 12, № 3, № article e0173813. 212. Vorob’ev, I. I.; Proskurina, O. V.; Khodak, Yu. A.; Gosudarev, A. I.; Semikhin, A. S.; Byrikhina, D. V.; Krasil’shchikova, M. S.; Mel’nik, B. S.; Serebryakova, M. V.; Polzikovk, M. A. Physicochemical Properties, Toxicity, and Specific Activity of a Follitropin Alpha Biosimilar. // Pharmaceutical Chemistry Journal. 2017, т. 50, № 11, c. 753-760. 213. Welles L., Abbas B., Sorokin D.Y., Lopez-Vazquez C.M., Hooijmans C.M., van Loosdrecht M.C.M., Brdjanovic D. Metabolic response of ‘Candidatus Accumulibacter phosphatis’ clade II C to changes in influent P/C ratio. // Frontiers in Microbiology. 2017, v. 7, № article 2121. 214. Xu K., Long H., Xing R., Liu W., Yin Y., Eremin S.A., Meng M., Xi R. A sensitive chemiluminescent immunoassay to detect Chromotrope FB (Chr FB) in foods. // Talanta. 2017, v. 164, p. 341-347. 215. Yurina N.P., Popov V.O., Krasnovsky A.A., Govindjee J. Remembering Navasard Karapetyan (1936-2015). // Photosynthesis Research. 2017, v. 132, p. 221-226. 216. Zakharzhevskaya NB, Vanyushkina AA, Altukhov IA, Shavarda AL, Butenko IO, Rakitina DV, Nikitina AS, Manolov AI, Egorova AN, Kulikov E.E., Vishnyakov IE, Fisunov GY, Govorun VM. Outer membrane vesicles secreted by pathogenic and nonpathogenic Bacteroides fragilis represent different metabolic activities. // Scientific Reports. 2017, v. 7, № article 5008. 217. Zamakhaev M., J. Bespyatykh, A. Goncharenko, M. Shumkov. How to turn it off? Role of VapC toxin in mycobacteria dormant state formation. // FEBS Journal. 2017, v. 284, № S1, p. 360-360. 218. Zhang Y., Wang L., Shen X., Wei X., Huang X., Liu Y., Sun X., Wang Z., Sun Y., Xu Z., Eremin S.A., Lei H. Broad-specificity immunoassay for simultaneous detection of ochratoxins A, B and C in millet and maize. // Journal of Agricultural and Food Chemistry. 2017, v. 65, № 23, p. 4830-4838. 219. Zhdanov D. D., Pokrovskiy V. S, Pokrovskaya M. V., Alexandrova S. S, Eldarov M. A., Grishin D. V., Basharov M. M., Gladilina Y. A., Podobed O. V., Sokolov N. N. Rhodospirillum rubrum L-asparaginase targets tumor growth by a dual mechanism involving telomerase inhibition. // Biochemical and Biophysical Research Communications. 2017, v. 2, № 492, p. 282-288. 220. Zhdanov D. D., Pokrovskiy V. S., Pokrovskaya M. V., Alexandrova S. S., Eldarov M. A., Grishin D. V., Basharov M. M., Gladilina Y. A., Podobed O. V., Sokolov N. N. Inhibition of telomerase activity and induction of apoptosis by Rhodospirillum rubrum L-asparaginase in cancer Jurkat cell line and normal human CD4+ T lymphocytes. // Cancer Medicine. 2017, v. 6, № 11, p. 2697-2712. 221. Zhetisheva R., Kovaleva M., Kamenihina I., Isaykina T., Shogenova M., Karpov A., Galakhov I., Kovalev L., Naumov V. Transgelin of medial layer of the thoracic aorta and its modifications as a possible autoantigen in the atherosclerotic process. // Atherosclerosis. 2017, v. 263, № article SAG074, p. 58-58. 222. Zhgun A.A., Kovnir S.V., Khodak U. A., Avdanina D. A., Orlova N. A., Vorobiev I. I. Novel rhodopsin from octopus from features to the development of production system in HEK293-G7 cells. // FEBS Journal. 2017, v. 284, № S1, p. 154-155. 223. Zhigalova N.A., Zhenilo S.V., Artemov A.V., Prokhortchouk E.B. CRISPR/Cas9-editing-based modeling of hypoxia in renal cancer cells. // Molecular Biology. 2017, v. 51, № 5, p. 728-732. 224. Zhuikov V.A., Bonartsev A.P., Bagrov D.V., Yakovlev S.G., Myshkina V.L., Makhina T.K., Bessonov I.V., Kopitsyna M.N., Morozov A.S., Rusakov A.A., Useinov A.S., Shaitan K.V., Bonartseva G.A. Mechanics and surface ultrastructure changes of poly(3-hydroxybutyrate) films during enzymatic degradation in pancreatic lipase solution. // Molecular Crystals and Liquid Crystals. 2017, v. 648, № 1, c. 236-243. 225. Zhuikov V.A., Bonartsev A.P., Zharkova I.I., Bykova G.S., Taraskin N.Y., Kireynov A.V., Kopitsyna M.N., Bonartseva G.A., Shaitan K.V. Effect of poly(ethylene glycol) on the ultrastructure and physicochemical properties of the poly(3-hydroxybutyrate). // Macromolecular Symposia. 2017, v. 375, № 1. 226. Zubareva Anastasia, Shagdarova Balzhima, Varlamov Valery, Kashirina Elena, Svirshchevskaya Elena. Penetration and toxicity of chitosan and its derivatives. // European Polymer Journal. 2017, № 93, p. 743-749. 227. А.В. Щенникова, О.А. Шульга, Е.З. Кочиева, А.В. Белецкий, М.А. Филюшин, Н.В. Равин, К.Г. Скрябин. Гомеобоксные гены факторов транскрипции WOX в паразитическом растении Monotropa hypopitys на стадии цветения. // Вавиловский журнал генетики и селекции. 2017, т. 21, № 2, c. 234-240. 228. Андрющенко Н.Д., Сафонов А.В., Бабич Т.Л., Иванов П.В., Коневник Ю.В., Кондрашова А.А., Прошин И.М., Захарова Е.В. Сорбционные характеристики материалов фильтрационного барьера в верхних водоносных горизонтах, загрязненных радионуклидами. // Радиохимия. 2017, т. 59, № 4, c. 361-370. 229. Атрошенко Д.Л., Зарубина С.А., Шеломов М.Д., Голубев И.В., Савин С.С., Тишков В.И. Получение и характеристика многоточечных мутантов оксидазы D-аминокислот с улучшенной стабильностью и активностью. // Вестник Московского университета. Серия 2: Химия. 2017, т. 58, № 5, c. 257-263. 230. Ахова А.В., Кылосова А.М., Гончаренко А.В., Ткаченко А.Г., Шумков М.С. Полиамины как фактор регуляции синтеза кадаверина на фоне действия антибиотиков. // Вестник Пермского научного центра УрО РАН. 2017, № 2, c. 30-34. 231. Багpов Д.В., Жуйков В.А., Чудинова Ю.В., Яpышева А.Ю., Котляpова М.C., Аpxипова А.Ю., Xайдапова Д.Д., Мойcенович М.М., Шайтан К.В. Меxаничеcкие cвойcтва пленок и тpеxмеpныx матpикcов из фибpоина шелка и желатина. // Биофизика. 2017, т. 62, № 1, c. 23-30. 232. Безсуднова Е.Ю., Бойко К.М, Попов В.О. Свойства бактериальных и архейных трансаминаз разветвленных аминокислот. // Успехи биологической химии. 2017, т. 57, c. 33-70. 233. Бекасова О.Д., Рывкина Н.Г., Чмутин И.А., Штейн-Марголина В.А., Курганов Б.И. Электрические свойства R-фикоэритрина, содержащего наночастицы AgO, синтезированные в его туннельных полостях. // Неорганические материалы. 2017, т. 53, № 12, c. 1278-1283. 234. Белоусова О.Б., Булыгина Е.С., Окишев Д.Н., Прохорчук Е.Б., Цыганкова С.В., Пронин И.Н., Шишкина Л.В., Рыжова М.В., Скрябин К.Г., Коновалов А.Н. Анализ мутаций генов у больных с наследственными кавернозными мальформациями ЦНС. // Журнал неврологии и психиатрии им. C.C. Корсакова. 2017, т. 117, № 6, c. 66-72. 235. Бойко К.М., Николаева А.Ю., Качалова Г.С., Бончук А.Н., Дороватовский П.В., Попов В.О. Предварительные исследования ВТВ-домена белка Lola из Drosophila melanogasters методами малоуглового рентгеновского рассеяния и рентгеноструктурного анализа. // Кристаллография. 2017, т. 62, № 6, c. 915-918. 236. Бойко К.М., Николаева А.Ю., Качалова Г.С., Бончук А.Н., Попов В.О. Очистка, выделение, кристаллизация и предварительное рентгеноструктурное исследование ВТВ-домена белка Сentrosomal protein 190 из Drosophila melanogasters. // Кристаллография. 2017, т. 62, № 6, c. 912-914. 237. Бонарцева Г.А., Акулина Е.А., Мышкина В.Л., Воинова В.В., Махина Т.К., Бонарцев А.П. Биосинтез альгинатов бактериями рода Azotobacter. // Прикладная биохимия и микробиология. 2017, т. 53, № 1, c. 61-68. 238. Борзенков И.А., Сердюков Д.В. Биорекультивация жидких нефтешламов и асфальтосмолопарафиновых отложений в засушливых условиях. // Экология производства. 2017, № 8, c. 73-79. 239. Борис К.В., Кудрявцев А.М., Кочиева Е.З. ПОЛИМОРФИЗМ ГЕНА СОРБИТОЛ-6-ФОСФАТДЕГИДРОГЕНАЗЫ (S6PDH) У ПРЕДСТАВИТЕЛЕЙ ТРИБЫ PYREAE СЕМЕЙСТВА ROSACEAE. // Генетика. 2017, т. 53, № 4, c. 507-511. 240. Булаев А. Г. Эффект сульфата трехвалентного железа на активность умеренно-термофильных ацидофильных железоокисляющих микроорганизмов. // Микробиология. 2017, т. 86, № 4, c. 455-462. 241. Булаев А. Г., Ерофеева Т. В., Лабырич М. В., Мельникова Е. А. Устойчивость к ионам тяжелых металлов архей рода Acidiplasma. // Микробиология. 2017, т. 86, № 5, c. 578-585. 242. Булаев А. Г., Каныгина А.В., Манолов А.И. Анализ генома полиэкстремофильной археи Acidiplasma sp. MBA-1, доминирующей в микробном сообществе реактора биовыщелачивания. // Микробиология. 2017, т. 86, № 1, c. 80-87. 243. Булахов А.Г., Гусаков А.В., Рожкова А.М., Волков П.В., Матыс В.Ю., Зоров И.Н., Синицын А.П. Свойства химерной полисахаридмонооксигеназы с присоединенным целлюлозосвязывающим модулем и её применение для гидролиза целлюлозосодержащего сырья в составе целлюлазного комплекса. // Катализ в промышленности. 2017, т. 17, № 6, c. 554-560. 244. Валуев И.Л., Обыденнова И.В., Ванчугова Л.В., Валуев Л.И., Сивов Н.А., Валуева Т.А. Полимерный регулятор активности ферментов. // Высокомолекулярные соединения. Серия Б. 2017, v. 59, № 1, c. 68-70. 245. Вахрушева А.В., Немашкалов В.А., Кравченко О.В., Тищенко С.И., Габдулхаков А.Г., Кляшторный В.Г., Короткова О.Г., Гусаков А.В., Синицын А.П. Структурные исследования эндоглюканазы 2 мицелиального гриба Penicillium verruculosum. // Кристаллография. 2017, т. 62, № 2, c. 243-248. 246. Воейкова Т.А., Журавлева О.А., Булушова Н.В., Исмагулова Т.Т., Вейко В.П., Шайтан К.В., Дебабов В.Г. Бактериальный синтез наночастиц: роль и характеристика белкового покрытия наночастиц. // Актуальная биотехнология. 2017, т. 21, № 2, c. 87-87. 247. Вострикова Н.Л., Куликовский А.В., Чернуха И.М., Ковалев Л. И., Савчук С.А. Определение белков мышечной ткани методами 2D электрофореза и времяпролетной масс-спектрометрии. // Журнал аналитической химии. 2017, т. 72, № 10, c. 932-943. 248. Гендриксон О.Д., Смирнова Н.И., Жердев А.В., Гаспарян В.К., Дзантиев Б.Б. Лектиноферментный анализ клеток Escherichia coli и Staphylococcus aureus. // Прикладная биохимия и микробиология. 2017, т. 53, № 1, c. 96-103. 249. Гесслер Н.Н., Филиппович С.Ю., Бачурина Г.П., Харченко Е.А., Гроза Н.В., Белозерская Т.А. Оксилипины и пути их синтеза у грибов. // Прикладная биохимия и микробиология. 2017, т. 53, № 6, c. 568-579. 250. Глаголев В.И., Джавахия В.В., Попова Е.Д., Воинова Т.М. Разработка высокопродуктивного штамма продуцента иммуносупрессанта такролимус и оптимизация ферментационной среды для его культивирования. // Международный научно-исследовательский журнал. 2017, т. 65, № 11, c. 64-70. 251. Гладченко М.А., Ковалев Д.А., Ковалев А.А., Литти Ю.В., Ножевникова А.Н. ПОЛУЧЕНИЕ МЕТАНА ПРИ АНАЭРОБНОЙ ПЕРЕРАБОТКЕ ОРГАНИЧЕСКИХ ОТХОДОВ ОВОЩЕПЕРЕРАБАТЫВАЮЩИХ ПРОИЗВОДСТВ. // Прикладная биохимия и микробиология. 2017, т. 2, № 53, c. 225-233. 252. Горюнова С.В., Чикида Н.Н., Кочиева Е.З. AFLP, RAPD и ISSR анализы внутривидовой изменчивости и межвидовых различий аллотетраплоидных видов Aegilops kotschyi boiss. и Aegilops variabilis eig. // Генетика. 2017, т. 53, № 5, c. 570-578. 253. Градова Н.Б., Баурина М.М., Сивков С.П., Эль-Регистан Г.И., Николаев Ю.А. Биотехнологические препараты для повышения качества строительных материалов. // Бутлеровские сообщения. 2017, т. 50, № 5, c. 46-56. 254. Грапов Д.О., Евтеев В.А., Таранова Н.А. Участие в создании отечественного маркера системной воспалительной реакции у пациента. // Лекарственные препараты и рациональная фармакотерапия. 2017, № 1-2, c. 11-12. 255. Гречушникова М.Г., Бадюков Д.Д., Саввичев А.С., Казанцев В.С. Сезонные и пространственные изменения содержания метана в Можайском водохранилище в летний период. // Метеорология и гидрология. 2017, № 11, c. 67-78. 256. Гусаков А.В., Денисенко, Доценко А.С., Рожкова А.М., Синицына О.А., Зоров И.Н., Баширова А.В., Волков П.В., Короткова О.Г. Использование сайт-направленного мутагенеза для улучшения свойств грибных целлюлаз и ксиланаз. // Актуальная биотехнология. 2017, т. 21, № 2, c. 97-97. 257. Дёмкина Е.В., Шаненко Е.Ф., Николаев Ю.А., Эль-Регистан Г.И. Модель регуляции ферментативной активности иммобилизованных ферментов (амилаз) в почве. // Микробиология. 2017, т. 86, № 2, c. 217-228. 258. Джавахия В.В., Е.В. Глаголева, Е.Д. Попова, А.И. Овчинников, К.Г. Скрябин, Д.Л. Шоболов, В.Ю. Балабаньян, М.Г. Чернобровкин. Разработка нового высокопродуктивного штамма Amycolatopsis orientalis — продуцента антибиотика эремомицина. // Биотехнология. 2017, т. 33, № 1, c. 42-52. 259. Дорофеев А.Г., Николаев Ю.А., Козлов М.Н., Кевбрина М.В., Агарев А.М., Каллистова А.Ю., Пименов Н.В. Моделирование процесса анаммокс с использованием пакета прикладных программ BIOWIN. // Прикладная биохимия и микробиология. 2017, т. 53, № 1, c. 88-95. 260. Дрозд Н.Н., Шагдарова Б.Ц., Ильина А.В., Варламов В.П. Влияние N-[(2-гидрокси-3-триметиламмоний)пропил] хлорид – производного хитозана на антикоагулянтную активность плазмы морских свинок. // Бюллетень экспериментальной биологии и медицины. 2017, т. 163, № 3, c. 321-324. 261. Женило С. В., Артемов А. В., Масленникова А.К.Ю., Каплун Д. С., Мазур А. М., Жигалова Н. А., Прохорчук Е. Б. Исследование инактивации гена VHL как основного патогенетического фактора метастазирования светлоклеточного рака почки. // Успехи молекулярной онкологии. 2017, т. 4, № 4, c. 25-26. 262. Женило С., Деев И., Литвинова Е., Жигалова Н., Каплун Д., Соколов А., Мазур А, Прохорчук Е. Сумоилирование изменяет транскрипционные свойства белка Kaiso. // Acta Naturae (англоязычная версия). 2017, т. 9, № S, c. 41-42. 263. Жуйкова Ю.В., Зубарева А.А., Курек Д.В., Варламов В.П. Получение магнитных наночастиц, стабилизированных хитозаном и его производным. // Известия Уфимского научного центра РАН. 2017, № 3(1), c. 77-80. 264. Журина М.В., Ганнесен А.В., Мартьянов С.В., Тетенева Н.А., Штратникова В.Ю., Плакунов В.К. Никлозамид как перспективный антибиопленочный агент. // Микробиология. 2017, т. 86, № 4, c. 439-447. 265. Зейналов О.А., Т.С. Савинова, В.А. Андрюшина. Сравнительная характеристика моногормональных и бигормональных гестаген-содержащих препаратов для подавления поведенческих проявлений половой охоты у кошек. // Российский ветеринарный журнал. Мелкие домашние и дикие животные. 2017, № 2, c. 33-35. 266. И. И. Воробьев, А. С. Семихин, Е. О. Головина. Производство нового биоаналогового фоллитропина альфа в России — это уже реальность в 2017 году. // Акушерство, гинекология и репродукция. 2017, т. 11, № 3, c. 116-126. 267. Иванова А.Е., Канатьева А.Ю., Курганов А.А., Селифанова М.В., Пурыгин П.П. Аэробная биодеградация адамантанов в условиях высокой кислотности. // Микробиология. 2017, т. 86, № 3, c. 307-316. 268. Ильина А.В., Шагдарова Б. Ц., Луньков А. П., Куликов С. Н., Варламов В. П. Исследование антимикотической активности in vitro металлокомплексов кватернизированного производного хитозана с ионами меди. // Микробиология. 2017, т. 86, № 5, c. 586-592. 269. Кадников В.В., Франк Ю.А., Марданов А.В., Белецкий А.В., Ивасенко Д.А., Пименов Н.В., Карначук О.В., Равин Н.В. Вариабельность состава микробного сообщества резервуара подземных термальных вод в Западной Сибири. // Микробиология. 2017, т. 86, № 6, c. 739-747. 270. Кадников В.В., Франк Ю.А., Марданов А.В., Белецкий А.В., Ивасенко Д.А., Пименов Н.В., Карначук О.В., Равин Н.В. Некультивируемые бактерии и метаногенные археи доминируют в микробном сообществе подземных вод Западной Сибири. // Микробиология. 2017, т. 86, № 3, c. 383-386. 271. Каллистова А.Ю., Меркель А.Ю., Тарновецкий И.Ю., Пименов Н.В. Образование и окисление метана прокариотами. // Микробиология. 2017, т. 86, № 6, c. 661-683. 272. Канаев А.Т., Булаев А.Г., Семенченко Г.В., Канаева З.К., Шилманова А.А. ФИЗИКО-ХИМИЧЕСКИЕ ИССЛЕДОВАНИЯ ПРОЦЕССА БИОВЫЩЕЛАЧИВАНИЯ РУДЫ МЕСТОРОЖДЕНИЯ БАКЫРЧИК АБОРИГЕННЫМИ ШТАММАМИ АЦИДОФИЛЬНЫХ МИКРООРГАНИЗМОВ. // Химическая технология. 2017, № 2, c. 89-96. 273. Караева Ю.В., Варламова И. A., Литти Ю. В., Ковалёв Д. A., Сахметова Г. E., Сатаев M. И. ЭКСПРЕСС ОЦЕНКА НАГРУЗКИ ПО ОРГАНИЧЕСКОМУ ВЕЩЕСТВУ ДЛЯ МЕТАНТЕНКА ПОЛУНЕПРЕРЫВНОГО ДЕЙСТВИЯ. // Известия Национальной академии наук Республики Казахстан. Серия геологии и технических наук. 2017, т. 6, № 426, c. 207-216. 274. Кишковская С.А., Эльдаров М.А., Думина М.В., Танащук Т.Н., Равин Н.В., Марданов А.В. Генетическая и физиолого-биохимическая характеристика коллекции штаммов хересных дрожжей. // Прикладная биохимия и микробиология. 2017, т. 53, № 3, c. 323-332. 275. Клювиткин А. А., Козина Н. В., Реджепова З. Ю., Русанов И. И., Торгунова Н. И., Будько Д.Ф. Геологические исследования Черного моря (81-й рейс научно-исследовательского судна “Профессор Водяницкий”). // Океанология. 2017, т. 57, № 5, c. 838-840. 276. Клювиткин А.А., Политова Н.В., Новигатский А.Н., Новичкова Е.А., Саввичев А.С., Козина Н.В., Стародымова Д.П., Тихонова А.В., Амбросимов А.К., Будько Д.Ф., Исаченко С.М., Булохов А.В. Геологические исследования в северной атлантике в 51-м рейсе научно-исследовательского судна “Академик Иоффе”. // Океанология. 2017, т. 57, № 3, c. 514-516. 277. Ковалева М.А., Ковалев Л.И., Иванов А.В., Серебрякова М. В., Шишкин С. С. Протеомная идентификация белков – маркеров этапов формирования сердца у человека. // Онтогенез. 2017, т. 48, № 5, c. 352-358. 278. Ковнир С.В., Н.А. Орлова, Ю.А. Ходак, М.П. Кондрашова, А.Г. Габибов, К.Г. Скрябин, А.И. Воробьев, И.И. Воробьев. Управляемая коамплификация генов для получения рекомбинантных белков терапевтического назначения: исследование динамики инсерции и амплификации генетических кассет в геноме клеток яичника китайского хомячка при коэкспрессии пары совместимых плазмид. // Бюллетень экспериментальной биологии и медицины. 2017, т. 163, № 2, c. 211-215. 279. Козлов М.Н., Кевбрина М.В., Николаев Ю.А., Козлов И.М., Агарев А.М., Пименов Н.В., Каллистова А.Ю. Практические возможности технологий очистки сточных вод, разработанные в инженерно-технологическом центре АО «Мосводоканал. // Водоочистка. 2017, № 3, c. 26-29. 280. Козяева В.В., Груздев Д.С., Дзюба М.В., Колганова Т.В., Кузнецов Б.Б. Разнообразие магнитотактических бактерий реки москвы. // Микробиология. 2017, т. 86, № 1, c. 99-106. 281. Коротков Е. В., Короткова М.А. Study of the periodicity in Euro-US Dollar exchange rates using local alignment and random matrixes. // Procedia Computer Science. 2017, v. 108, c. 1354-1354. 282. Коротков Е. В., Короткова МА. Search for regions with periodicity using the random position weight matrices in the C. elegans genome. // International Journal of Data Mining and Bioinformatics. 2017, v. 18, c. 331-354. 283. Коротков Е. В., Суворова Ю. М., Скрябин К. Г. Исследование тандемных повторов со вставками и делециями в геноме A. thaliana. // Доклады Академии наук. Биохимия и биофизика. 2017, т. 477, № 6, № статьи 10.1134/S160767291706014X, c. 1-3. 284. Коротков Е.В., Короткова М.А. Search of regions with periodicity using random position weight matrices in the genome of С. Elegans. // Lecture Notes in Computer Science. 2017, v. 10209, c. 445-456. 285. Космачевская О.В., Шумаев К.Б., Топунов А.Ф. Сигнальное и регуляторное действие метилглиоксаля в эукариотических клетках. // Прикладная биохимия и микробиология. 2017, т. 53, № 3, c. 273-289. 286. Костылева Е., Великорецкая И., Середа А., Цурикова Н., Бетин А., Синицын А. Комплексный ферментный препарата в зернобобовых рационах свиней. // Комбикорма. 2017, № 9, c. 98-100. 287. Костылева Е.В., Середа А.С., Великорецкая И.А., Бурцева Э.И., Веселкина Т.Н., Нефедова Л.И., Шариков А.Ю., Цурикова Н.В., Лобанов Н.С., Синицын А.П. Разработка схем индуцированного мутагенеза для повышения продуктивности штаммов рода Aspergillus – продуцентов амилолитических ферментов. // Микробиология. 2017, т. 86, № 4, c. 483-493. 288. Кочиева Е.З., Филюшин М.А., Белецкий А.В., Равин Н.В., Скрябин К.Г. Идентификация и анализ экспрессии генов хитиназ паразитического растения Monotropa hypopitys. // Доклады Академии наук. Биохимия и биофизика. 2017, т. 473, № 3, c. 115-118. 289. Кравчишина М.Д., Леин А.Ю., Саввичев А.С., Рейхард Л.Е., Дара О.М., Флинт М.В. Аутигенный Mg-кальцит на метановом полигоне в море лаптевых. // Океанология. 2017, т. 57, № 1, c. 194-213. 290. Красников Б. Ф., Ю. И. Дерябина, Е. П. Исакова, Ю. К. Бирюкова, А. Б. Шевелев, А. Н. Антипов. Новый рекомбинантный продуцент ω-амидазы человека на основе Escherichia coli. // Прикладная биохимия и микробиология. 2017, т. 53, № 3, c. 271-277. 291. Красновский А.А.. Свет и хлорофилл: важнейшие вехи в истории ранних исследований. // Российский химический журнал. 2017, т. 61, № 3, c. 17-41. 292. Кудрявцева Н. Н., М. А. Побединская, П. Н. Балабко, Л. Ю. Кокаева, Б. Ц. Зайчик, Н. А. Кутузова, М. И. Азаркович, С. Н. Еланский, Т. А. Валуева. Протеолитическая активность и вирулентность штаммов Alternaria alternata, выделенных с томата. // Микология и фитопатология. 2017, т. 51, № 2, c. 110-116. 293. Кудрявцева Н.Н., Побединская М.А., Балабко П.Н., Кокаева Л.Ю., Зайчик Б.Ц., Кутузова Н.А., Азаркович М.И., Еланский С.Н., Валуева Т.А. Протеолитическая активность и вирулентность штаммов Alternaria alternata, выделенных с томата. // Микология и фитопатология. 2017, т. 51, № 2, c. 110-116. 294. Куликов Е.Е., Маевска Д., Прохоров Н.С., Голомидова А.К., Татарский Е.В., Летаров А.В. Влияние о-ацетилирования о-антигена липополисахарида Escherichia coli на неспецифическую барьерную функцию внешней мембраны. // Микробиология. 2017, т. 86, № 3, c. 284-291. 295. Куликов Н.И., Литти Ю.В., Кочумян А.С. Условия ускоренного запуска процесса анаммокс на канализационных очистных станциях. // Universum: технические науки. 2017, т. 38, № 5, c. 24-29. 296. Ланкин В.З., Шумаев К.Б., Тихазе А.К., Курганов Б.И. Влияние дикарбонилов на кинетические характеристики глутатионпероксидазы. // Доклады Академии наук. Биохимия и биофизика. 2017, т. 475, № 6, c. 706-709. 297. Летаров А.В., Куликов Е.Е. Адсорбция бактериофагов на клетках бактерий. // Успехи биологической химии. 2017, № 57, c. 153-208. 298. Логвинова Д.С., Николаева О.П., Левицкий Д.И. Межмолекулярные взаимодействия субфрагмента 1 миозина, индуцируемые N-концевым сегментом существенной легкой цепи. // Биохимия. 2017, т. 82, № 2, c. 332-344. 299. Лойко Н. Г., Лобанов К. В., Николаев Ю. А., Козлова А. Н., Эль-Регистан Г. И. Регуляция фазовых вариаций образования пилей I типа у Escherichia coli: роль микробных ауторегуляторов – алкилоксибензолов. // Микробиология. 2017, т. 86, № 5, c. 551-563. 300. Лойко Н. Г., Сузина Н. Е., Соина В. С., Смирнова Т. А., Зубашева М. В., Азизбекян Р. Р., Синицын Д. О., Терешкина К. Б., Николаев Ю. А., Крупянский Ю. Ф., Эль-Регистан Г. И. Биокристаллические структуры в нуклеоидах стационарных и покоящихся клеток прокариот. // Микробиология. 2017, т. 86, № 6, c. 703-719. 301. Лялина Т.С., Терешина В.М., Варламов В.П. Влияние хитозана с различной молекулярной массой на прорастание конидий Botrytis cinerea. // Известия Уфимского научного центра РАН. 2017, № 3(1), c. 110-113. 302. Маланкина Е.Л., Л.Н. Козловская, С.Г. Солопов, Б.Ц. Зайчик, А.О. Ружицкий, А.А. Евграфов. Особенности компонентного состава эфирного масла чабера садового (Satureja hortensis l.) в зависимости от сорта. // Известия Тимирязевской сельскохозяйственной академии. 2017, № 3, c. 19-29. 303. Малыгин А.Г. Новые данные о запрограммированных рисках смерти у нормальных мышей и мышей с мутацией задержки роста. // Биохимия. 2017, т. 82, № 7, c. 1085-1096. 304. Марданов А.В., Белецкий А.В., Ивасенко Д.А., Пименов Н.В., Карначук О.В., Равин Н.В. Сульфатвосстанавливающие бактерии в микробном сообществе кислых дренажных вод хвостохранилища месторождения золота. // Микробиология. 2017, т. 86, № 2, c. 255-257. 305. Мокрушина Ю.А., Пипия С.О., Степанова А.В., Шамборант О.Г., Кнорре В.Д., Смирнов И.В., Габибов А.Г., Воробьев И.И. Особенности механизма взаимодействия каталитических антител с фосфорорганическими субстратами. // Молекулярная биология. 2017, т. 51, c. 958-968. 306. Мулюкин А.Л., Смирнова Т.А., Шевлягина Н.В., Диденко Л.В. Длительное выживание и устойчивость клеток погруженных культур псевномонад в массе экзополимеров. // Микробиология. 2017, т. 86, № 3, c. 352-363. 307. Муравьев М.И., Фомченко Н.В. Bioleaching as a method of zinc removal from copper-zinc sulfide concentrate. // Journal of Biotechnology. 2017, v. 256, № S, p. 54-54. 308. Муравьев М.И., Фомченко Н.В. Влияние условий биовыщелачивания медно-цинкового концентрата на содержание в нем цветных металлов. // Прикладная биохимия и микробиология. 2017, т. 53, № 4, c. 395-399. 309. Муравьев М.И., Фомченко Н.В. Селективное выщелачивание цинка при биоокислении медно-цинкового концентрата. // Прикладная биохимия и микробиология. 2017, т. 53, № 1, c. 82-87. 310. Муравьев М.И., Фомченко Н.В. Химическое выщелачивание медно-цинкового концентрата биораствором трехвалентного железа. // Прикладная биохимия и микробиология. 2017, т. 53, № 6, c. 630-634. 311. Мысякина И.С., Сергеева Я.Э., Бокарева Д.А. Липидный состав спорангиоспор зигомицетовых грибов при выходе из состояния экзогенного покоя. // Известия Уфимского научного центра РАН. 2017, № 3-1, c. 176-179. 312. Назина Т.Н., Соколова Д.Ш., Бабич Т.Л., Семенова Е.М., Ершов А.П., Биджиева С.Х., Борзенков И.А., Полтараус А.Б., Хисаметдинов М.Р., Турова Т.П. Микроорганизмы низкотемпературных месторождений тяжелой нефти (Россия) и возможность их применения для вытеснения нефти. // Микробиология. 2017, т. 86, № 6, c. 748-761. 313. Назина Т.Н., Фенг Ц., Кострюкова Н.К., Шестакова Н.М., Бабич Т.Л., Ни Ф., Ванг Д, Мин Л., Иванов М.В. Микробиологические и продукционные характеристики высокотемпературного месторождения тяжелой нефти Даган (блок № 1) в процессе испытаний биотехнологии повышения нефтеизвлечения. // Микробиология. 2017, т. 86, № 5, c. 636-650. 314. Недолужко А. В., Кадников В. В., Белецкий А. В., Шарко Ф. С., Цыганкова С. В., Марданов А. В., Равин Н. В., Скрябин К. Г. Микроорганизмы, ассоциированные с микронасекомыми Megaphragma amalphitanum и Scydosella musawasensis. // Микробиология. 2017, т. 86, № 4, c. 520-522. 315. Николаев Ю. А., Козлов М. Н., Гаврилин А. М., Кевбрина М. В., Пименов Н. В., Дорофеев А. Г., Агарев А. М., Асеева В. Г., Каллистова А. Ю. Создание первой в России технологии типа Анаммокс. // Водоснабжение и санитарная техника. 2017, № 8, c. 28-33. 316. Новак Н.В., А.Г. Домрачева, В.В. Джавахия. Подбор условий химического мутагенеза с n-нитрозо-n-метилмочевиной для повышения продукции циклоспорина а в штамме Tolypocladium inflatum subsporum blastosporum. // Актуальная биотехнология. 2017, т. 21, № 2, c. 43-44. 317. Орлова Н. А., С. В. Ковнир, Ю. А. Ходак, М. А. Ползиков, И. И. Воробьев. Рекомбинантный лютеинизирующий гормон человека для терапии бесплодия: получение линий-продуцентов. // Акушерство, гинекология и репродукция. 2017, т. 11, № 3, c. 33-42. 318. Осипов Д.О., Бушнев С.О., Баширова А.В., Рубцова Е.А. Увеличение термостабльности нового потенциального кормового фермента- ксиланазы Е гриба P.canescens. // Актуальная биотехнология. 2017, т. 21, № 2, c. 143-143. 319. Пашинцева Н. В., Еремина Л. С., Лисицкая К. В., Иванов А.В., Ковалев Л. И., Ковалева М. А., Шишкин С. С. Идентификация представителей белкового семейства HNRNP и других белков, обеспечивающих сплайсинг, в культивируемых клетках человека. // Российский биотерапевтический журнал. 2017, т. 16, № 2, c. 82-90. 320. Петракова А.В., Урусов А.Е., Жердев А.В., Лью Л., Ксю Ч., Дзантиев Б.Б. Применение наночастиц магнетита для разработки высокочувствительных иммунохроматографических тест-систем для определения микотоксинов. // Прикладная биохимия и микробиология. 2017, т. 53, № 4, c. 420-426. 321. Петросян М.А., Н.О. Мележникова, А.П. Домнина, В.А. Андрюшина, Л.И. Петрова, Т.С. Горячая, Н.Н. Ткаченко, Т.С. Клейменова, В.О. Полякова. Клеточные технологии для поиска новых аналогов прогестерона. // Журнал акушерства и женских болезней. 2017, т. LXVI, № 66, c. 63-65. 322. Петросян М.А., Н.О. Мележникова, А.П. Домнина, В.А. Андрюшина, Т.С. Горячая, Л.И. Петрова, О.В. Малышева, В.О. Полякова, А.В. Разыграев, Н.С. Сапронов. Поиск новой клеточной модели для изучения фармакологической активности аналогов прогестерона. // Цитология. 2017, т. 59, № 10, c. 676-684. 323. Плакунов В.К., Мартьянов С.В., Тетенева Н.А., Журина М.В. Управление формированием микробных биопленок: анти- и пробиопленочные агенты (обзор). // Микробиология. 2017, т. 86, № 4, c. 402-420. 324. Плотников А.Д., Корнеева Е.Ю., Алехова Т.А., Загустина Н.А. Исследование влияния биокоррозионных поражений на механические характеристики образцов из алюминиевых сплавов АМг6 и 1570С применительно к условиям эксплуатации российского сегмента МКС. // Космическая техника и технологии. 2017, т. 19, № 4, c. 35-43. 325. Попинако А.В., Антонов М.Ю., Чемеpиc А.C., Шайтан К.В., Cоколова О.C. Анализ взаимодействия Arp2/3-комплекса с инактиватором арпином методом. // Биофизика. 2017, т. 62, № 6, c. 1-7. 326. Попинако А.В., Тиxонова Т.В., Антонов М.Ю., Шайтан К.В., Попов В.О. Адаптация cтpуктуpы каналов активного центpа воcьмигемовой нитpитpедуктазы из галоалкалофильной бактеpии Thioalkalivibrio nitratireducens к уcловиям дефицита пpотонов. // Биофизика. 2017, т. 62, № 2, c. 284-289. 327. Потапова Т. В., Л. Ю. Бойцова, С.А. Голышев, А.Я. Дунина-Барковская, Т.А. Белозерская. Экспериментальная модель для исследования согласования процессов в растущей верхушке гифы Neurospora crassa. // Цитология. 2017, т. 59, № 11, c. 782-783. 328. Прохорчук Е.Б., Недолужко А.В., Шарко Ф.С., Цыганкова С.В., Булыгина Е.С., Расторгуев С.М., Соколов А.С., Мазур А.М., Полилов А.А., Скрябин К.Г. Секвенирование генома и транскриптома миниатюрного перепончатокрылого Megaphragma amalphitanum (Hymenoptera: Trichogrammatidae). // Вестник Московского университета. Серия 16: Биология. 2017, т. 72, № 1, c. 35-38. 329. Саввичев А.С., Демиденко Н.А., Краснова Е.Д., Калмацкая О.В., Харчева А.Н., Иванов М.В. Микробные процессы в губе Канда — меромиктическом водоёме, искусственно отделённом от Белого моря. // Доклады Академии наук. Биохимия и биофизика. 2017, т. 474, № 5, c. 637-641. 330. Савельева В.В., В.В. Джавахия, Е.В. Глаголева. Применение метода математического планирования эксперимента при оптимизации питательной среды для Streptomyces hygroscopicus – продуцента рапамицина. // Актуальная биотехнология. 2017, т. 21, № 2, c. 44-47. 331. Савельева В.В., Джавахия В.В., Глаголева Е.В., Глаголев В.И., Савушкин В.А. Оптимизация питательной среды для Streptomyces hygroscopicus – продуцента фармацевтической субстанции рапамицина. // Международный научно-исследовательский журнал. 2017, т. 57, № 3, c. 14-20. 332. Савушкин В.А., В.В. Джавахия, А.И. Овчинников, Я.О. Гребенева. Изучение влияния синтетических адсорбирующих смол на биосинтез вирджиниамицина. // Актуальная биотехнология. 2017, т. 21, № 2, c. 48-49. 333. Серба Е.М., Римарева Л.В., Курбатова Е.И., Волкова Г.С., Поляков В.А., Варламов В.П. Исследование процесса ферментативного гидролиза биомассы дрожжей для создания пищевых ингредиентов с заданным фракционным составом белковых веществ. // Вопросы питания. 2017, т. 86, № 2, c. 76-83. 334. Синицын А.П., Бетин А.Н., Цурикова Н.В., Костылева Е.В., Середа А.С., Великорецкая И.А, Весёлкина Т.Н., Кержнер М.А. Эффективность применения нового комплексного ферментного препарата на основе штамма Penicillium canescens при откорме свиней. // Ветеринария, зоотехния и биотехнология. 2017, № 7, c. 58-64. 335. Синицын А.П., Волков П.В., Рубцова Е.А., Шашков И.А., Рожкова А.М., Синицына О.А., Кондратьева Е.Г., Зоров И.Н., Сатрутдинов А.Д., Мерзлов Д.А., Матыс В.Ю. Использование индуцибельного промотора гена глюкоамилазы для получения новых мультиферментных комплексов Penicillium verruculosum. // Катализ в промышленности. 2017, т. 17, № 5, c. 407-413. 336. Синицын А.П., Рожкова А.М., Синицына О.А., Кондратьева Е.Г., Короткова О.Г., Рубцова Е.А., Волков П.В., Зоров И.Н., Шашков И.А., Сатрутдинов Д.А. Создание ферментных препаратов нового поколения с улучшенными характеристиками для использования в качестве кормовых добавок. // Актуальная биотехнология. 2017, т. 21, № 2, c. 294-294. 337. Синицын А.П., Рубцова Е.А., Шашков И.А., Рожкова А.М., Синицына О.А., Кондратьева Е.Г., Зоров И.Н., Мерзлов Д.А., Осипов Д.О., Матыс В.Ю. Получение и свойства новых биокатализаторов, предназначенных для разрушения некрахмальных растительных полисахаридов. // Катализ в промышленности. 2017, т. 17, № 4, c. 331-338. 338. Синицын Д. О., Лойко Н. Г., Гуларян С. К., Степанов А. С., Терешкина К. Б., Чуличков А. Л., Николаев Ю. А., Эль-Регистан Г. И., Попов В. О., Соколова О. С., Шайтан К. В., Попов А. Н., Крупянский Ю. Ф. Биокристаллизация нуклеоида бактерий в условиях стресса. // Химическая физика. 2017, т. 36, № 9, c. 59-65. 339. Складнев Д.А., Сорокин В.В., Гальченко В.Ф. Формирование наночастиц серебра в водных пробах из антарктического озера Унтерзее. // Микробиология. 2017, т. 86, № 3, c. 326-334. 340. Слугина М.А., Кочиева Е.З., Скрябин К.Г., Щенникова А.В. Гомеозисные гены MADS-box ортологов LeMADS-MC у дикорастущих видов томата рода Solanum. // Доклады Академии наук. Биохимия и биофизика. 2017, т. 474, № 5, c. 628-632. 341. Слугина М.А., Щенникова А.В., Кочиева Е.З. Новые гены-ортологи SLFUL2 и анализ их экспрессии у диких и культивируемых томатов секции Lycopersicon. // Генетика. 2017, т. 53, № 6, c. 687-695. 342. Случанко Н.Н., Ю.Б. Слонимский, Е.Г. Максимов. Особенности белок-белковых взаимодействий в механизме фотозащиты цианобактерий. // Успехи биологической химии. 2017, т. 57, c. 71-118. 343. Соколова Т.Г., М.М. Якимов, Н.А. Черных, Е.Ю. Лунькова, Н.А. Кострикина, Е.А. Таранов, А.В. Лебединский, Е.А. Бонч-Осмоловская. Аэробное окисление окиси углерода в процессе роста гипертермофильной археи Sulfolobus sp. ETSY. // Микробиология. 2017, т. 86, № 5, c. 527-537. 344. Соляникова И.П., Сузина Н.Е., Егозарьян Н.С., Поливцева В.Н., Мулюкин А.Л., Егорова Д.О., Эль-Регистан Г.И., Головлёва Л.А. Особенности структурно-функциональных перестроек клеток актинобактерий Microbacterium foliorum BN52 при переходе от вегетативного роста в состояние покоя и при прорастании покоящихся форм. // Микробиология. 2017, т. 86, № 4, c. 463-475. 345. Сотников Д.В., Жердев А.В., Дзантиев Б.Б. Математическое моделирование биоаналитических систем. // Успехи биологической химии. 2017, т. 57, c. 385-438. 346. Теплова В.В., Дерябина Ю.И., Исакова Е.П. Митохондриальные цитопатии: причины возникновения и пути коррекции. // Биологические мембраны: Журнал мембранной и клеточной биологии. 2017, т. 34, № 2, c. 91-108. 347. Теплюк А.В., Самаров Н.И., Корженков А.А., Ульянова М.О., Гоева М.А., Кубланов И.В., Канапацкий Т.А., Пименов Н.В., Тощаков С.В. Анализ разнообразия хитиназ из донных осадков Балтийского моря. // Микробиология. 2017, т. 86, № 1, c. 123-127. 348. Тихонова Т. В., Слуцкая Эльвира С., Попов В.О. Пероксидазная активность восьмигемовых нитритредуктаз из бактерий рода Thioalkalivibrio. // Прикладная биохимия и микробиология. 2017, т. 53, № 2, c. 155-163. 349. Торкова А.А., К.А. Рязанцева, Е.Ю. Агаркова, А.Г. Кручинин, М.Ю. Центалович, Т.В. Фёдорова. Рациональный дизайн ферментных композиций для получения функциональных гидролизатов сывороточных белков коровьего молока. // Прикладная биохимия и микробиология. 2017, т. 53, № 6, c. 580-591. 350. Трегубова В.Е., Сафонов А.В., Бабич Т.Л., Прошина И.М., Захарова Е.В., Герман К.Э. Микробиологическая обработка маслосодержащих радиоактивных отходов перед цементированием. // Радиохимия. 2017, т. 59, № 2, c. 170-178. 351. Трифонова А.А., Кочиева Е.З., Кудрявцев А.М. Анализ вариабельности микросателлитных локусов у редкого эндемичного вида Allium regelianum A.K. Becker ex ILJIN. // Генетика. 2017, т. 53, № 2, c. 192-200. 352. Трифонова А.А., Кочиева Е.З., Кудрявцев А.М. Низкий уровень подразделенности популяций редкого вида Allium regellianum A.K. Becker ex ILJIN волгоградской области на основе данных ISSR-анализа. // Экологическая генетика. 2017, т. 15, № 1, c. 30-37. 353. Тюлькина Е.Е., Гордеев И.Г., Гребенкин Д.Ю., Казей В.А., Цикаришвили М.М., Лучинкина Е.Е., Абдулла Б.Х., Самандари С., Воробьев И.И., Шигабутдинов А.Ф., Ползиков М.А. Сравнительное рандомизированное перекрестное исследование переносимости и фармакокинетики препаратов ПРИМАПУР® и ГОНАЛ-Ф® при однократном подкожном введении здоровым добровольцам. // Экспериментальная и клиническая фармакология. 2017, т. 80, № 4, c. 13-17. 354. Урусов А.Е., Петракова А.В., Бартош А.В., Губайдуллина М.К., Жердев А.В., Дзантиев Б.Б. Иммунохроматографический анализ Т-2 токсина с использованием меченых антивидовых антител. // Прикладная биохимия и микробиология. 2017, т. 53, № 5, c. 528-533. 355. Ф.С. Шарко, А.В. Недолужко, С.М. Расторгуев, С.В. Цыганкова, Е.С. Булыгина, А.А. Полилов, Е.Б. Прохорчук, К.Г. Скрябин. Порядок митохондриальных генов как дополнительный маркер в филогенетических исследованиях насекомых. // Вавиловский журнал генетики и селекции. 2017, т. 21, № 3, c. 368-373. 356. Филиппова С.Н., Виноградова К.А. Программируемая клеточная смерть как одна из стадий дифференцировки стрептомицетов. обзор. // Микробиология. 2017, т. 86, № 4, c. 421-438. 357. Филюшин М.А., Борис К.В. Полиморфизм и вторичная структура b/c интрона митохондриального гена nad1 у видов рода Malus и родственных видов Rosaceae. // Известия Российской академии наук. Серия биологическая. 2017, № 4, c. 384-390. 358. Филюшин М.А., Борис К.В. Полиморфизм интрона гена rps16 у представителей рода Malus Mill. и родственных видов семейства Rosaceae Juss. // Вавиловский журнал генетики и селекции. 2017, т. 21, № 5, c. 596-600. 359. Филюшин М.А., Кочиева Е.З., Скрябин К.Г. Полиморфизм хлоропластного гена rps2 у паразитического растения Monotropa hypopitys L. из популяций европейской части России. // Генетика. 2017, т. 53, № 3, c. 390-396. 360. Флоренская Т.Г., Космачевская О.В., Топунов А.Ф. Молекулярные формы глутаматдегидрогеназы корней сои. // Таврический вестник аграрной науки. 2017, т. 12, № 4. 361. Фомченко Н.В., Муравьев М.И. Two-step biohydrometallurgical technology for modernization of processing of sulfidic copper-zinc products. // Hydrometallurgy. 2017, v. 174, p. 116-122. 362. Хазигалеева Р.А., Виноградова С.В., Петрова В.Л., Фесенко И.А., Арапиди Г.П., Камионская А.М., Говорун В.М., Иванов В.Т. Антимикробная активность эндогенных пептидов мха Physcomitrella patens. // Биоорганическая химия. 2017, т. 43, № 3, c. 250-256. 363. Цыбалова Л.М., Степанова Л.А., Котляров Р.Ю., Блохина Е.А., Шуклина М.А., Марданова Е.С., Коротков А.В., Потапчук М.В., Равин Н. В. Усиление эффективности кандидатной вакцины против гриппа сочетанием консервативных последовательностей гемагглютинина и М2 белка. // Эпидемиология и вакцинопрофилактика. 2017, т. 94, № 3, c. 65-70. 364. Черных Н.А., Кубланов И.В., Прокофьева М.И., Пименов Н.В., Фролов Е.Н., Хващевская А. А., Гусева Н. В., Лебединский А.В., Бонч-Осмоловская Е.А. Продукция органического вещества и разнообразие генов рибулозо-бисфосфат карбоксилазы в осадках источника Солнечный, кальдера Узон, Камчатка. // Микробиология. 2017, т. 86, № 5, c. 651-654. 365. Чистякова Н.И., Антонова А.В., Грачева М.А., Шапкин А.А., Заварзина Д.Г., Жилина Т.Н., Русаков В.С. Мессбауэровские исследования процессов восстановления синтезированного ферригидрита алкалофильной железоредуцирующей бактерией Fuchsiella ferrireducens. // Известия Российской академии наук. Серия физическая. 2017, т. 81, № 7, c. 989-995. 366. Чувакова Л.Н., Шарко Ф.С., Недолужко А.В., Полилов А.А., Прохорчук Е.Б., Скрябин К.Г., Евгеньев М.Б. Гены HSP70 паразитической осы Megaphragma amalphitanum (Hymenoptera: trichogrammatidae). // Молекулярная биология. 2017, т. 4, № 51, c. 615-621. 367. Шашков И.А., Сатрутдинов А.Д., Бушнев С.О. Оптимизация процессов культивирования микроорганизмов с целью получения ферментов для обработки сельскохозяйственных кормов. // Актуальная биотехнология. 2017, т. 21, № 2, c. 145-145. 368. Шишкин С.С., Ковалев Л.И., Пашинцева Н.В., Ковалева М.А., Еремина Л.С., Иванов А.В., Садыхов Э.Г. Отечественная база данных «Протеомика злокачественных клеток». Использование в поисках белковых биомаркеров. // Прикладные информационные аспекты медицины. 2017, т. 20, № 4, c. 234-234. 369. Шумкова Е.С., Шумков М.С., Корсакова Е.С., Егорова Д.О., Шестакова Е.А., Плотникова Е.Г. Разработка биосенсора для детекции бифенила/полихлорированных бифенилов (ПХБ) на основе bph-генов бактерий-деструкторов, выделенных из техногенных почв Западного Урала. // Вестник Пермского научного центра УрО РАН. 2017, № 3, c. 99-104. 370. Щенникова А. В., Е. З. Кочиева, А. В. Белецкий, М. А. Филюшин, О. А. Шульга, Н. В. Равин, К. Г. Скрябин. Идентификация и экспрессия гена рецепторной киназы ERECTA у микогетеротрофного растения Monotropa hypopitys. // Молекулярная биология. 2017, т. 51, № 5, c. 780-786. 371. Щенникова А.В., Е.З. Кочиева, А.В. Белецкий, М.А. Филюшин, О.А. Шульга, Н.В. Равин, К.Г. Скрябин. Идентификация и характеристика мРНК генов рецептор-подобных киназ MhyGSO1 и MhyGSO2 в паразитическом растении Monotropa hypopitys на стадии цветения. // Вавиловский журнал генетики и селекции. 2017, т. 21, № 3, c. 334-340. 372. Щенникова А.В., О.А. Шульга, А.В. Белецкий, М.А. Филюшин, Е.З. Кочиева, Н.В. Равин, К.Г. Скрябин. Идентификация и характеристика гена идентичности цветковой меристемы MhyLFY у микогетеротрофного растения Monotropa hypopitys. // Доклады Академии наук. Биохимия и биофизика. 2017, т. 474, № 3, c. 386-390. 373. Юрина Н.П., Шарапова Л.С., Одинцова М.С. Геномы пластид фотосинтезирующих эукариот. // Биохимия. 2017, т. 82, № 6, c. 900-915. 374. Kaprelyants A, Shleeva M, Nikitushkin V, Salina E, Trutneva K. The mechanisms behind resuscitation of dormant forms of Mycobacterium tuberculosis and Mycobacterium smegmatis. // Вестник ЦНИИТ. 2017, p. 32-34. 2. Реформирование биотехнологического образования на основе Болонского процесса: Методическое пособие: в 3 т. Т.3 /Под. ред. А.Е.Кузнецова / А. Астромскиене, Е.С.Бабусенко, Д.В.Баурин.., А.Н.Ножевникова и др. Лаборатория знаний, Москва, 2017. — с. 865. ISBN 978-5-906828-55-2 (тираж 300 экз.). 1. Ежегодник «Успехи биологической химии», т. 57, 2017, изд-во «Геос», Москва, ISSN 0502-8191. 2. Сборник «Тезисов ХII Молодежной школы-конференции с международным участием «Актуальные аспекты современной микробиологии». МАКС Пресс, Москва, 2017. М.: ISBN 978-5-317-05684-1 (тираж 100 экз.). 3. Сборник тезисов отчетной конференции аспирантов: 19–25 июня 2017 г. / под ред. В.О.Попова, К.Г. Скрябина; сост. Е. С. Титова. Москва: МАКС Пресс, 2017. – 134 с. 2. Т.А. Канапацкий, М.О. Ульянова, О.В. Шубенкова, Н.В. Пименов. Газонасыщенные осадки в Гданьской впадине: геология, геохимия, микробные процессы // Система Балтийского моря. Изд-во, Научный мир, Москва, , 2017, стр. 474-497. 3. Kravchenko, Irina K. Microbial Oxidation of Atmospheric Methane in Natural and Agricultural Upland Soils. // Agro-Environmental Sustainability. Volume 2: Managing Environmental Pollution. Editors: Singh, Jay Shankar, Seneviratne, Gamini (Eds.) 2017, р. 183-211. DOI 10.10007/978-3-319-49727-3. 1. Sorokin DY, Yakimov MM, Kublanov IV, Oren A. (2017). Genus Halanaeroarchaeum. In: Bergey’s Manual of Systematic of Bacteria and Archaea. Whitman WB (ed), John Wiley & Sons, Ltd: Chchester. published on line: 20 June 2017. DOI: 10.1002/9781118960608.gbm01496. 3. Svetlana N. Dedysh. Telmatobacter. Acidobacteria. Acidobacteriia. Acidobacteriales. Published Online: 15 SEP 2017. DOI: 10.1002/9781118960608.gbm01426.